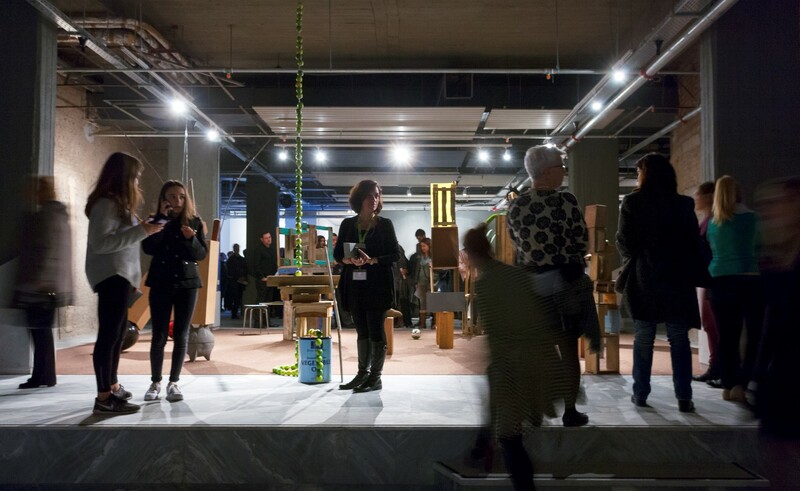 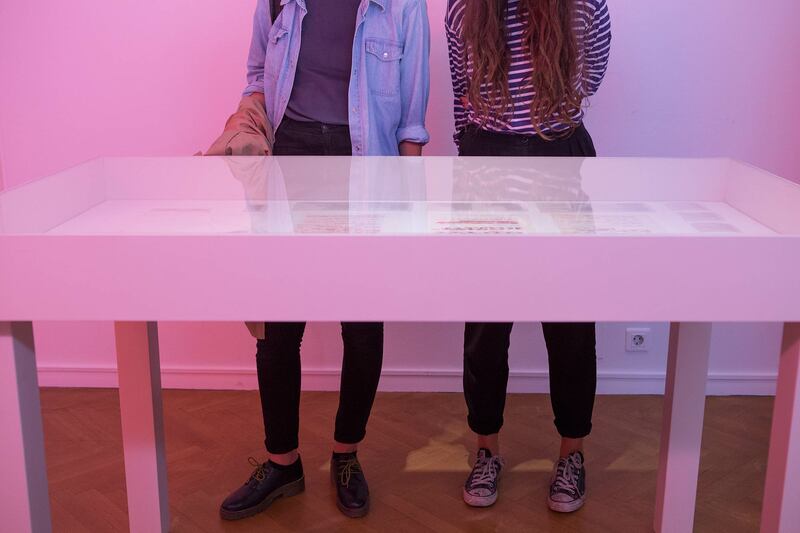 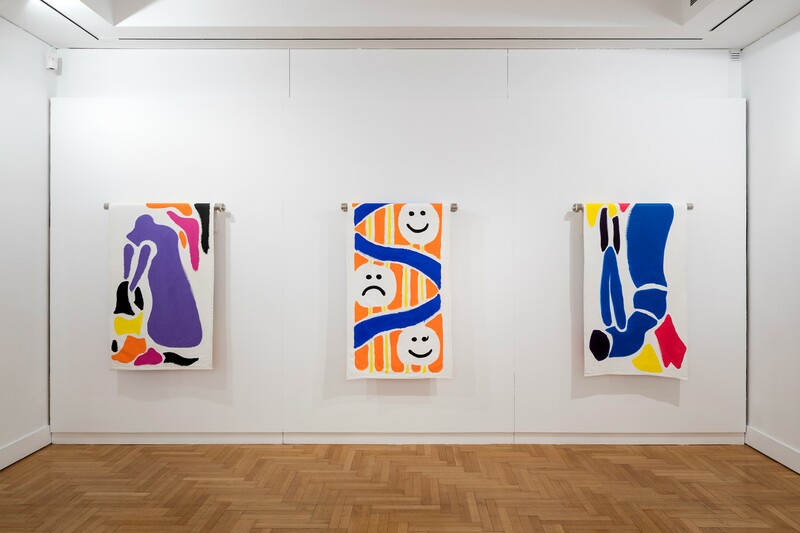 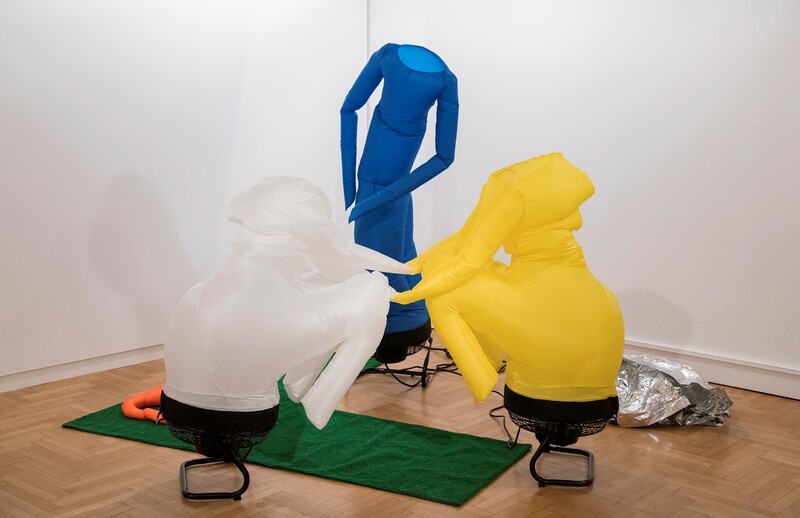 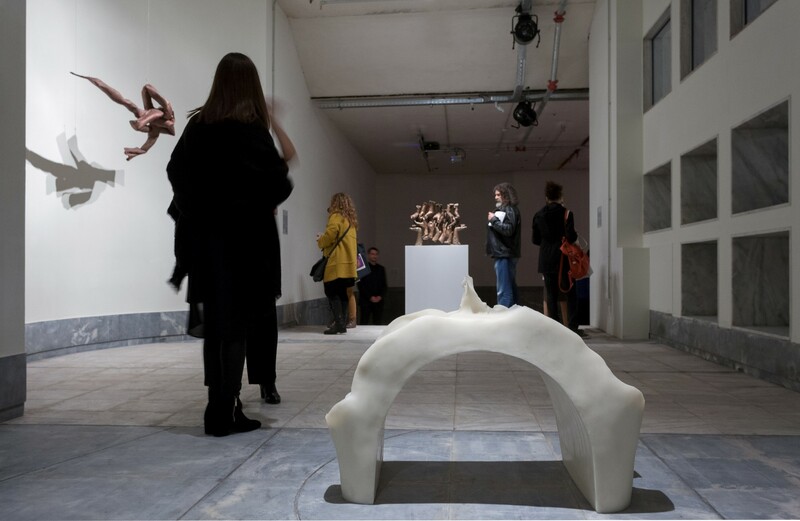 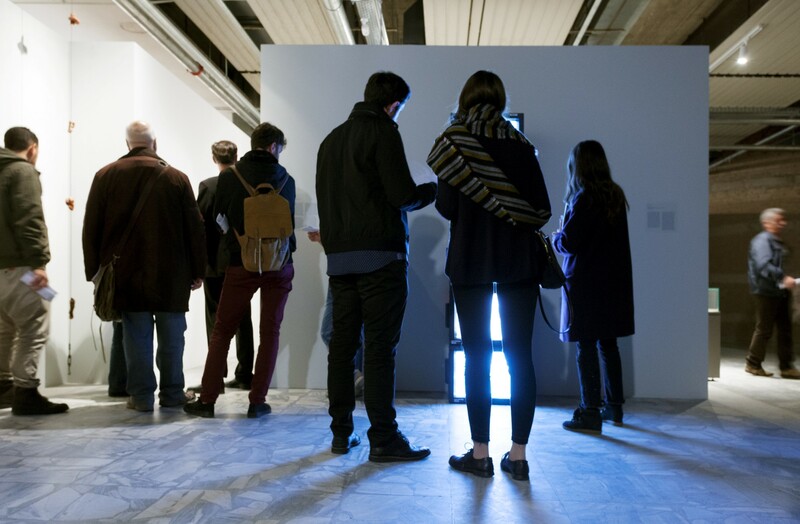 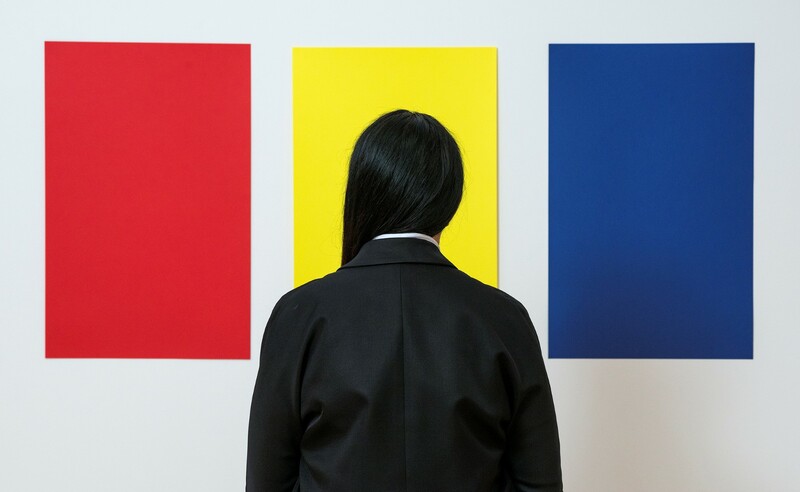 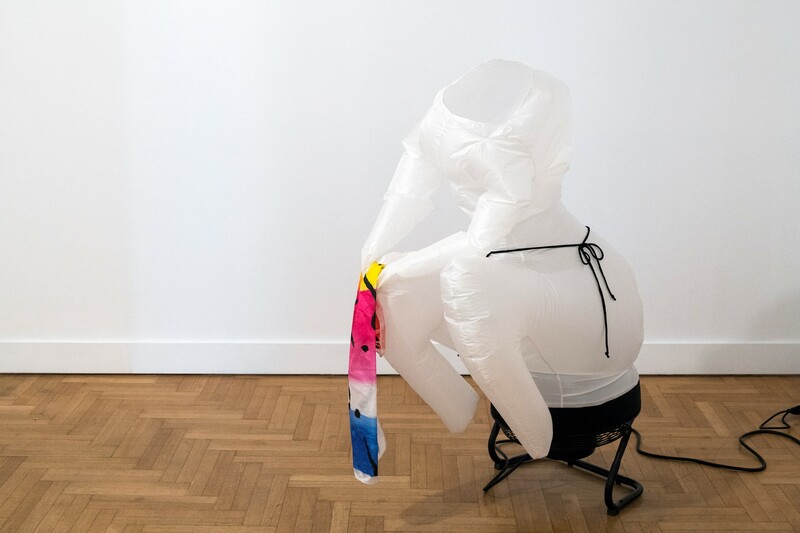 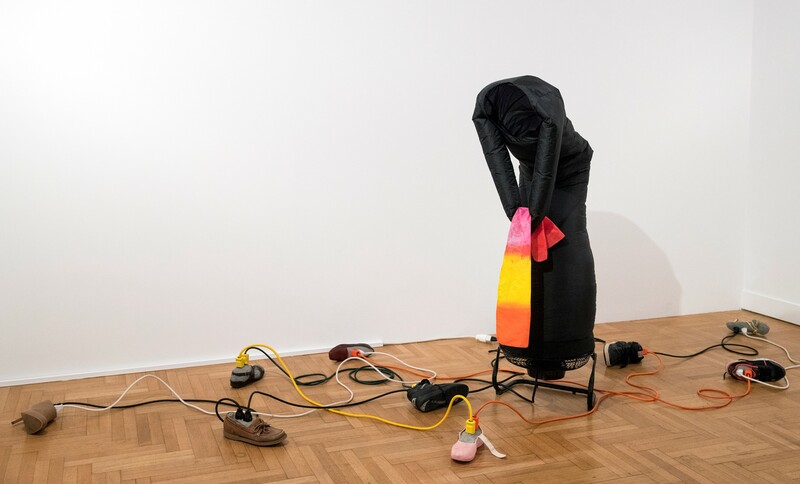 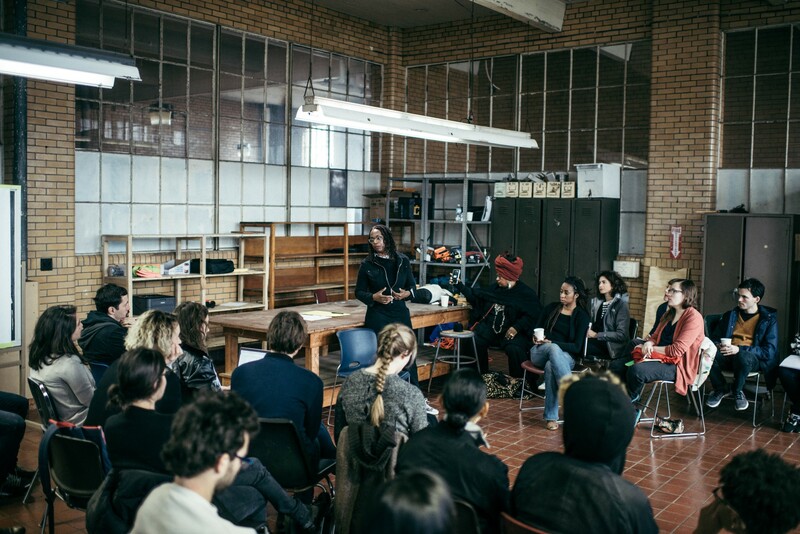 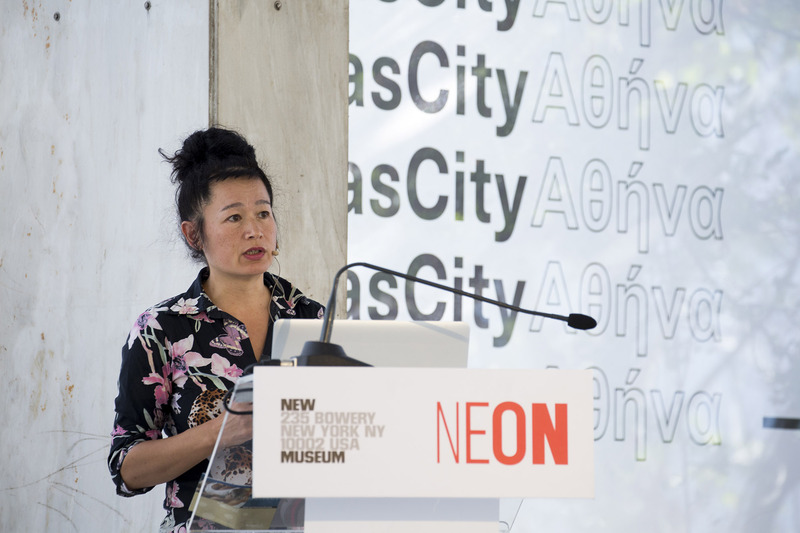 The Whitechapel Gallery and NEON invite emerging young curators to apply for the 8th annual NEON Curatorial Exchange 2019. 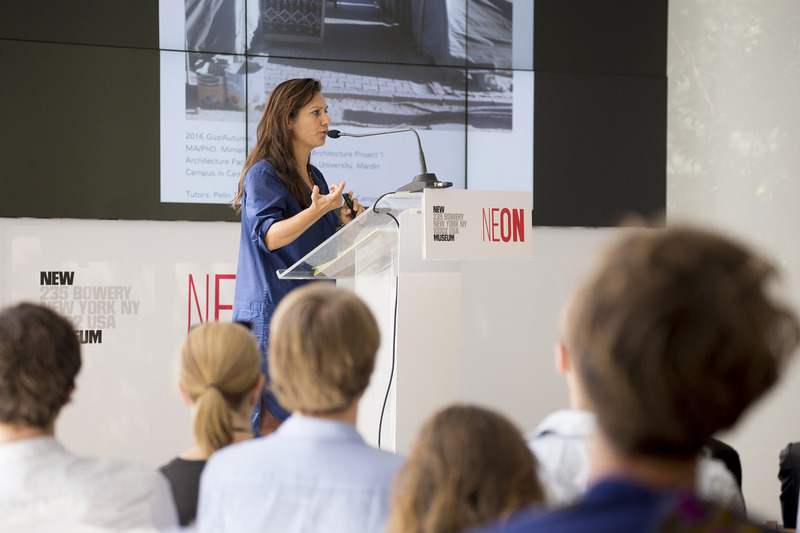 NEON invites participants to submit their application for the Grants & Scholarships Program 2019. 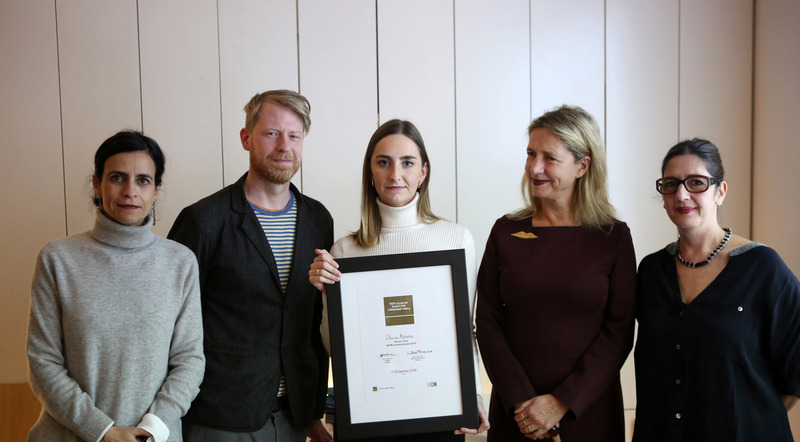 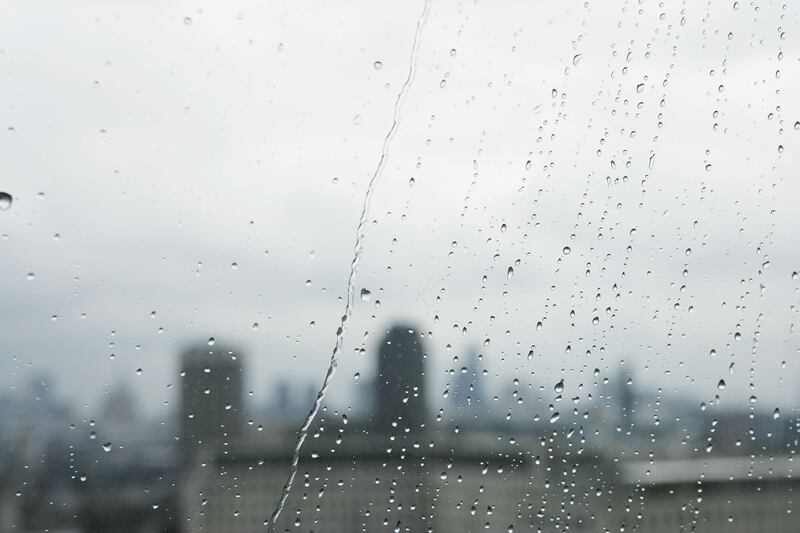 NEON & Whitechapel Gallery is pleased to announce Olivia Aherne as the winner of the 2018 NEON Curatorial Award. 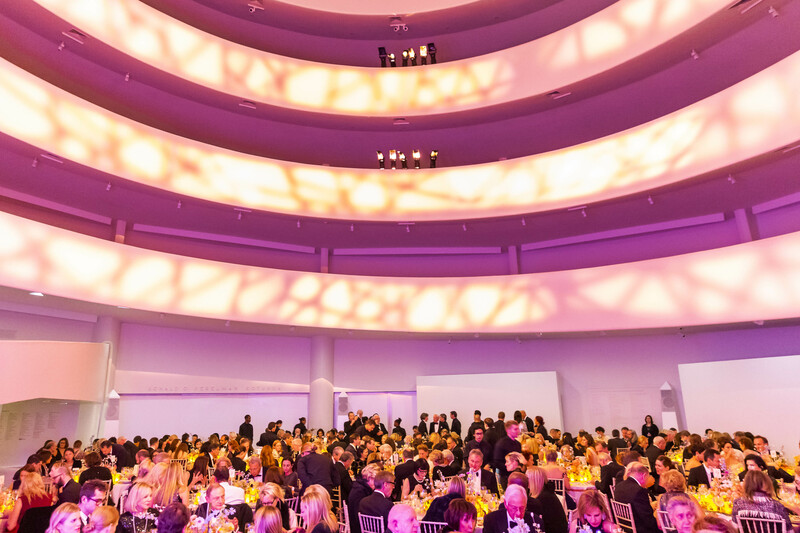 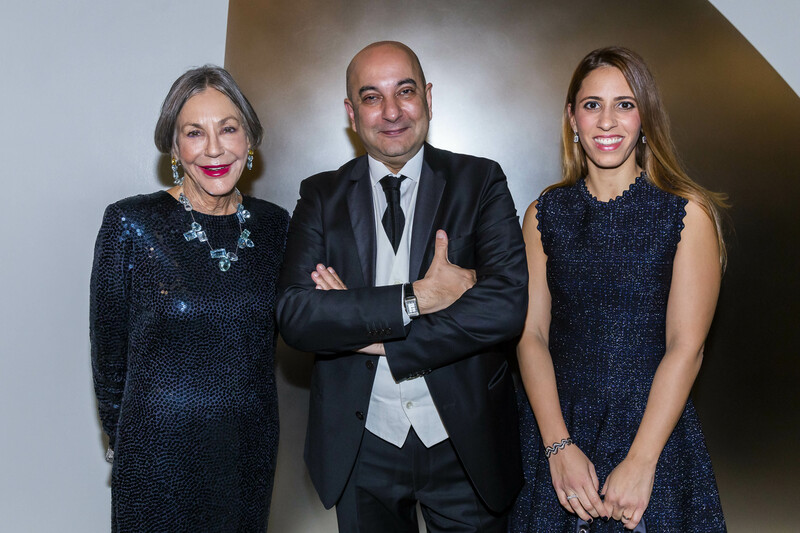 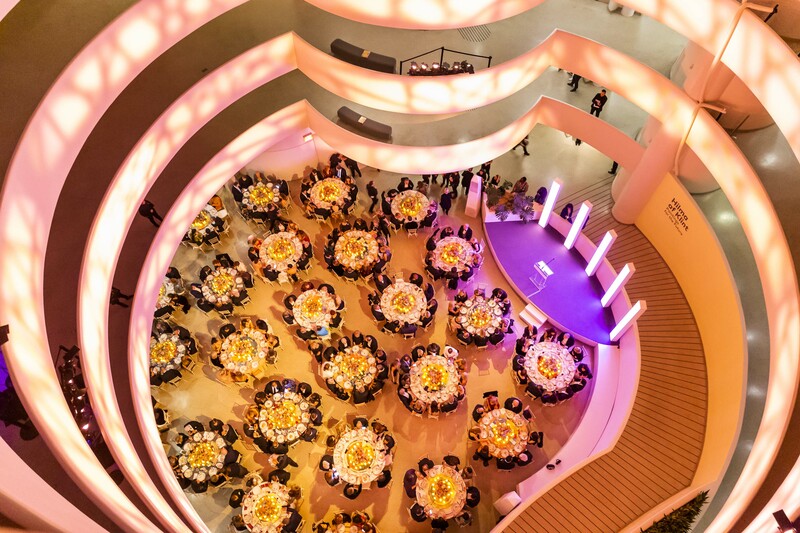 The Solomon R. Guggenheim Museum celebrated the Edmond de Rothschild Foundation and philanthropists Dimitris Daskalopoulos and Alice Walton on November 15 at the 2018 Guggenheim International Gala Benefit Dinner in the museum’s landmark Frank Lloyd Wright–designed building. 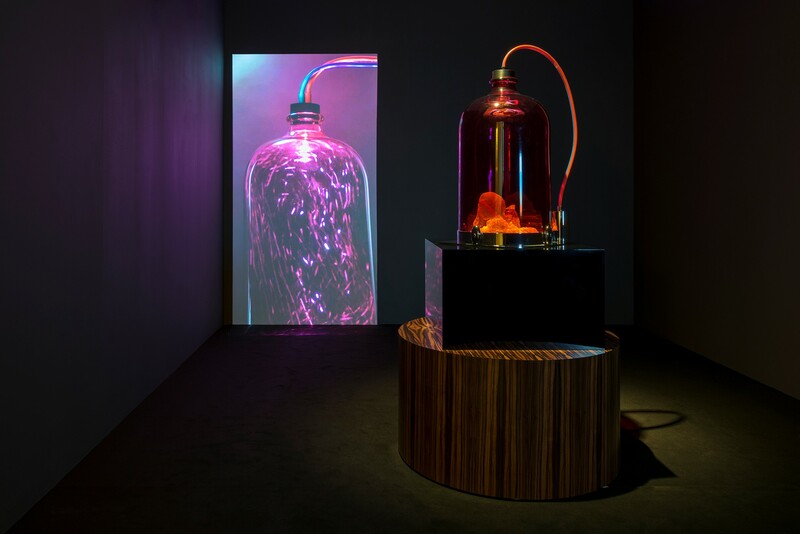 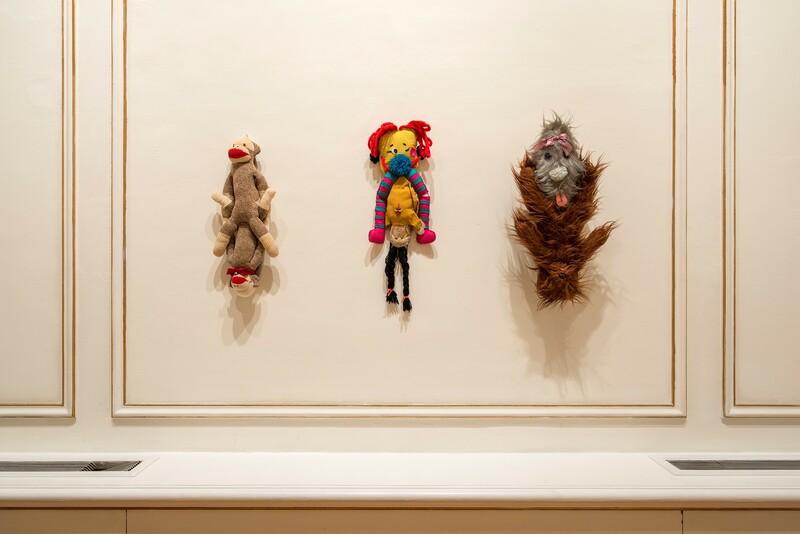 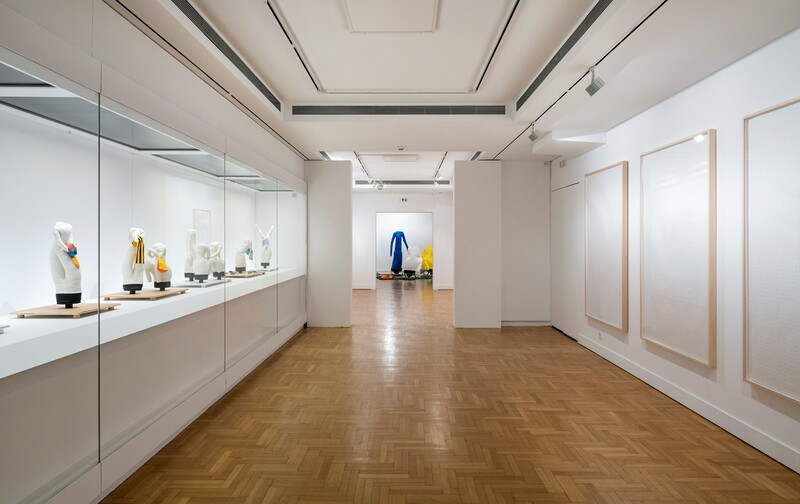 NEON is pleased to present an exhibition of New York-based artist Paul Chan at the Museum of Cycladic Art, Athens, guest-curated by Sam Thorne, Director of Nottingham Contemporary. 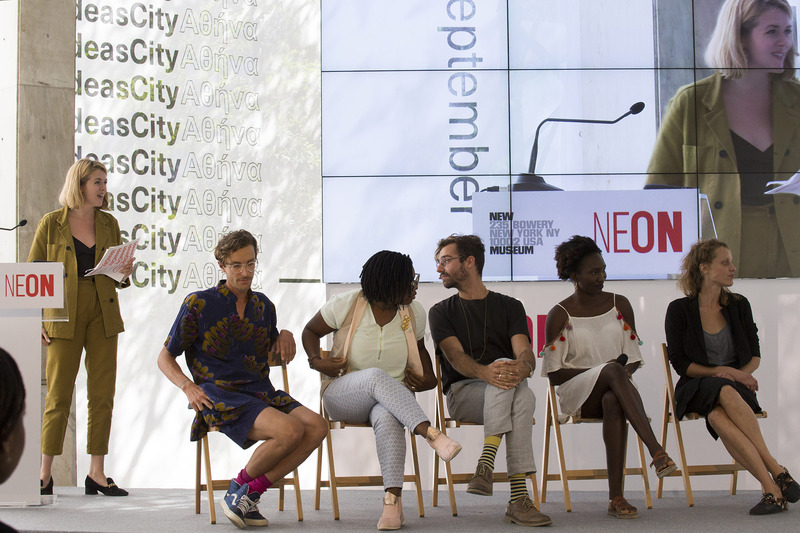 The Whitechapel Gallery and NEON invite emerging young curators to apply for the 7th annual NEON Curatorial Exchange 2018. 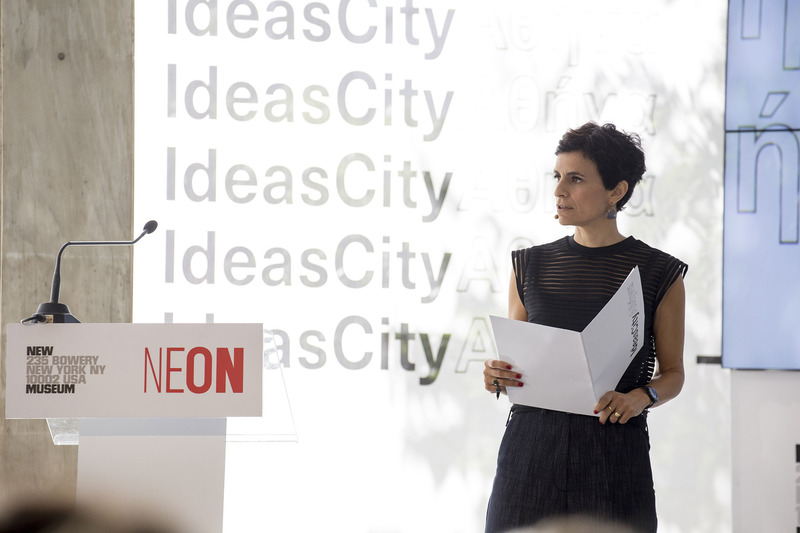 NEON invites participants to submit their application for the GRANTS & SCHOLARSHIPS program 2018. 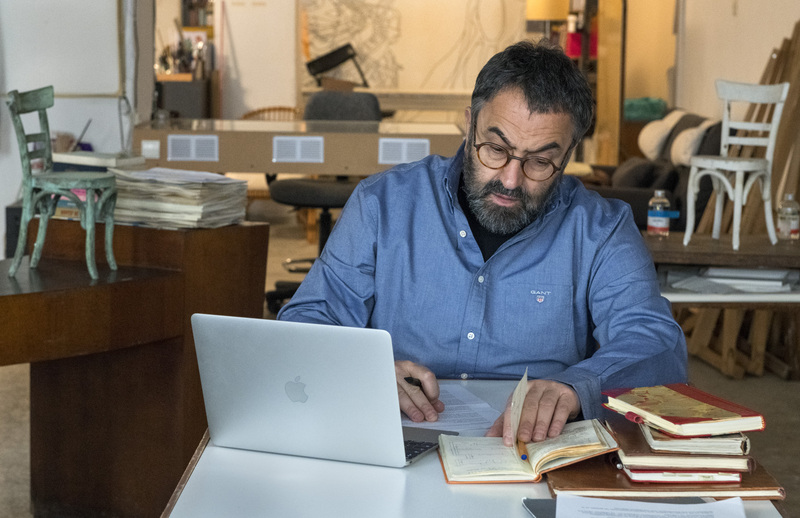 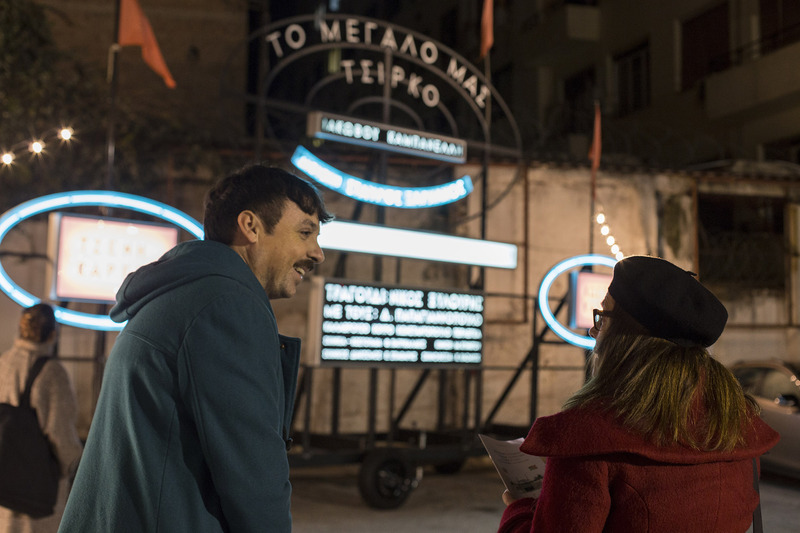 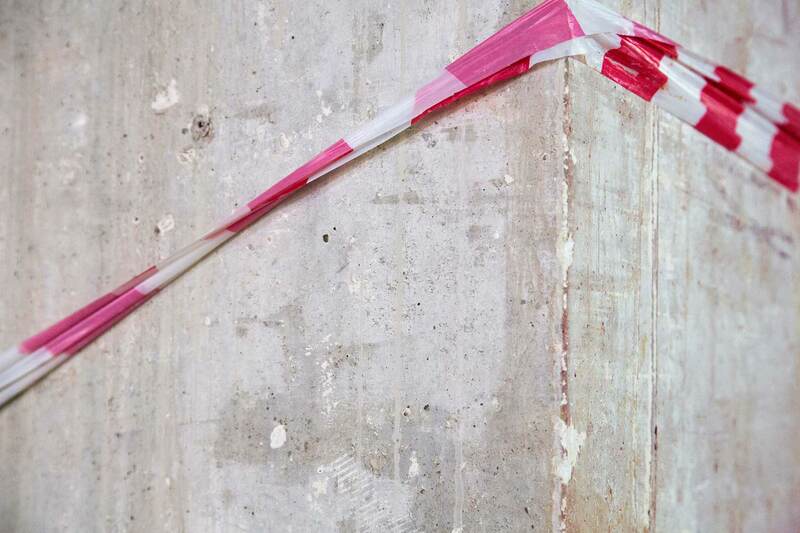 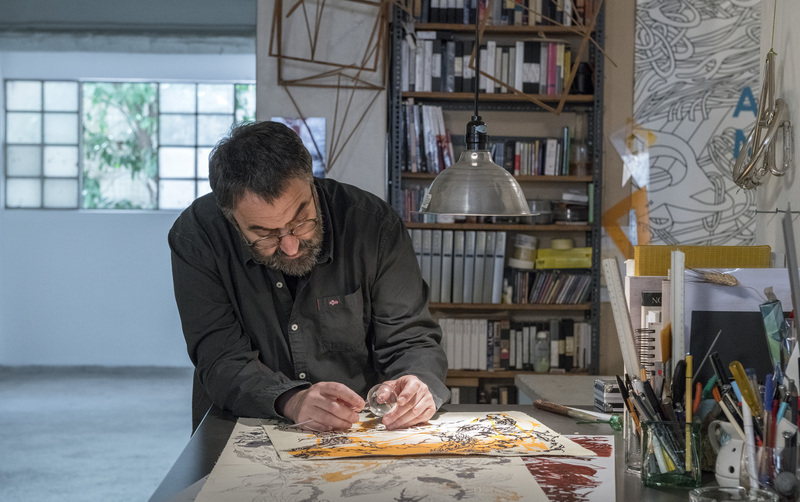 NEON, in collaboration with artist Michael Landy, invites you to participate in his first exhibition in Greece with the title BREAKING NEWS – ATHENS. 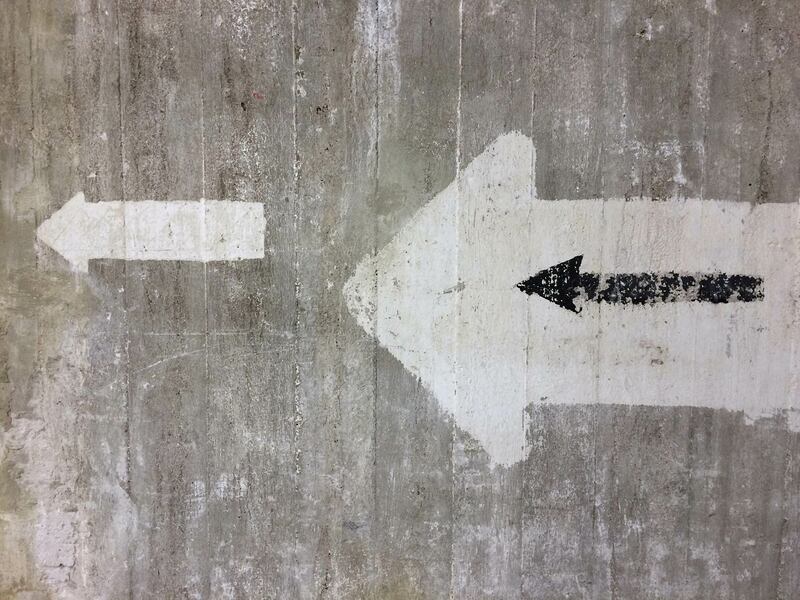 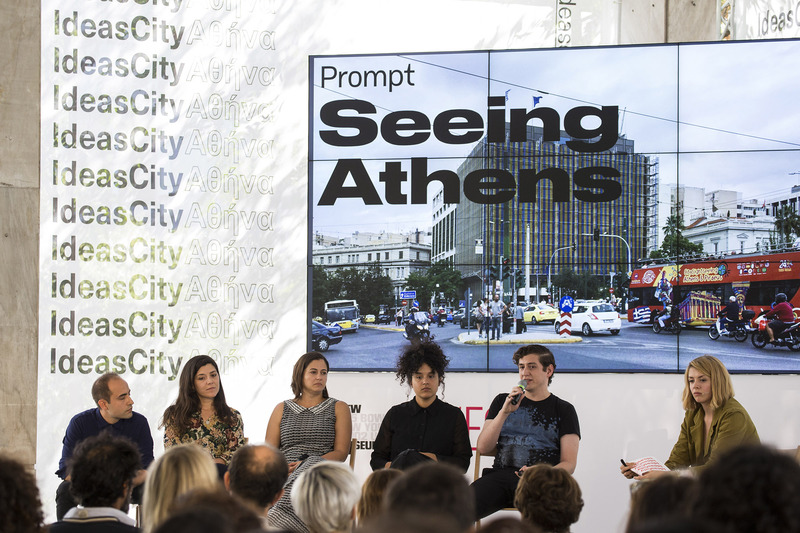 Upload here images that capture contemporary Athens and its social and political landscape, news headlines, events of everyday life, texts, symbols and logos, aphorisms and slogans on the streets. 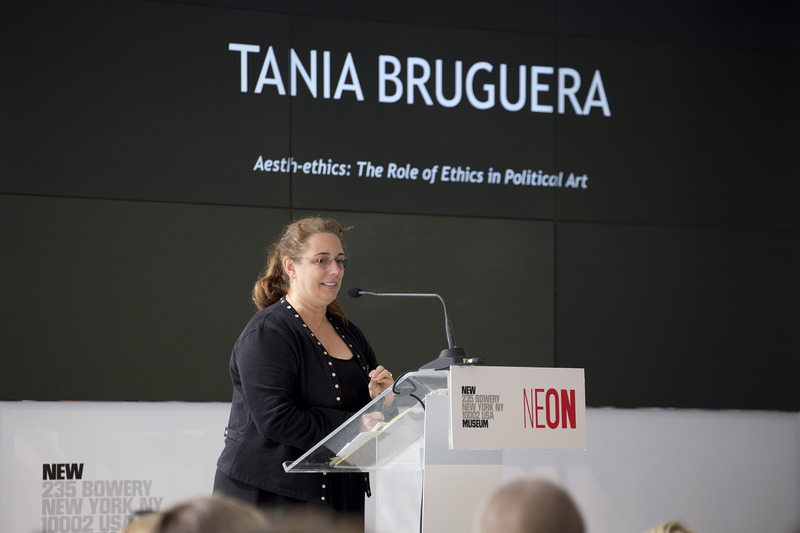 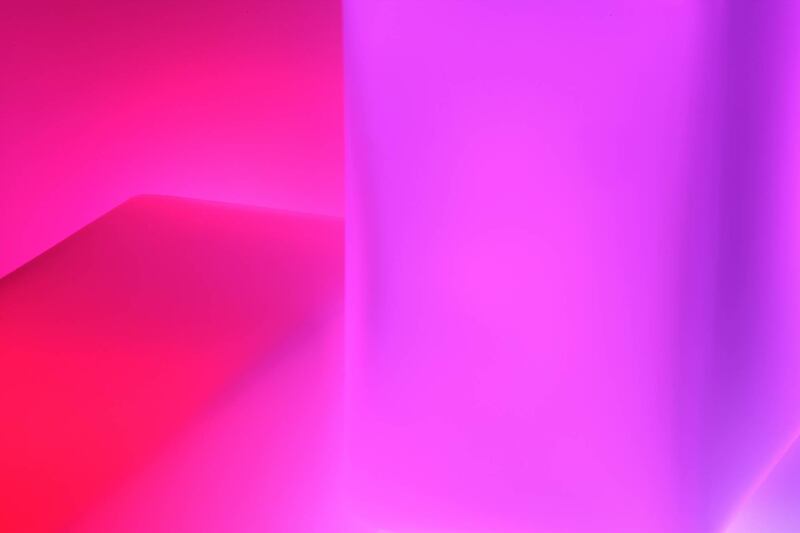 The Whitechapel Gallery and NEON invite emerging young curators to apply for the 6th annual NEON Curatorial Exchange. 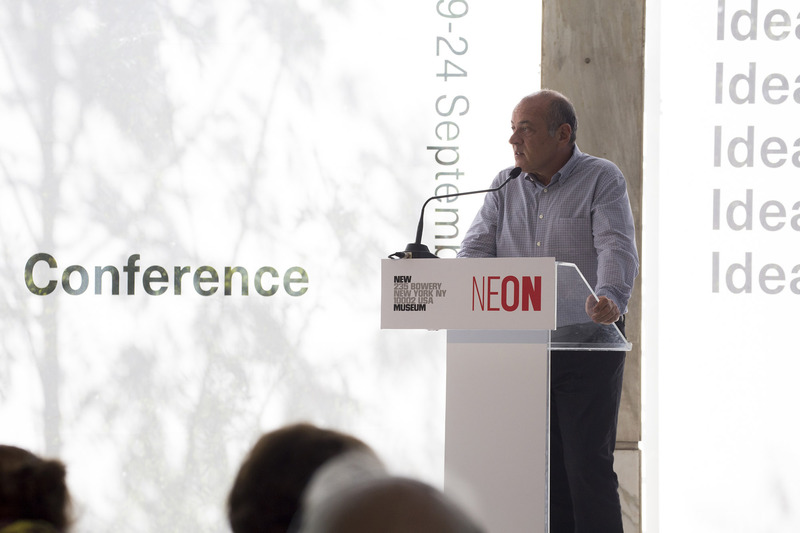 NEON invites participants to submit their application for the SCHOLARSHIPS program 2017/2018 which includes Postgraduate Studies Abroad (Masters) and Completion of Doctoral Studies (Ph.D). 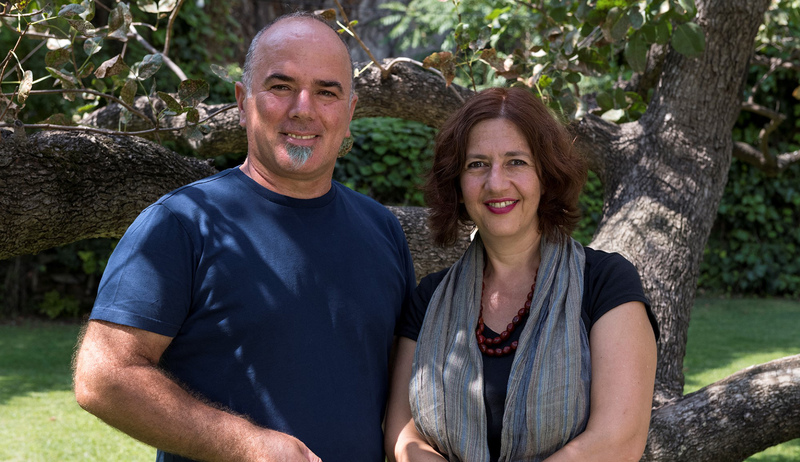 Warm Wishes for a Happy New Year! 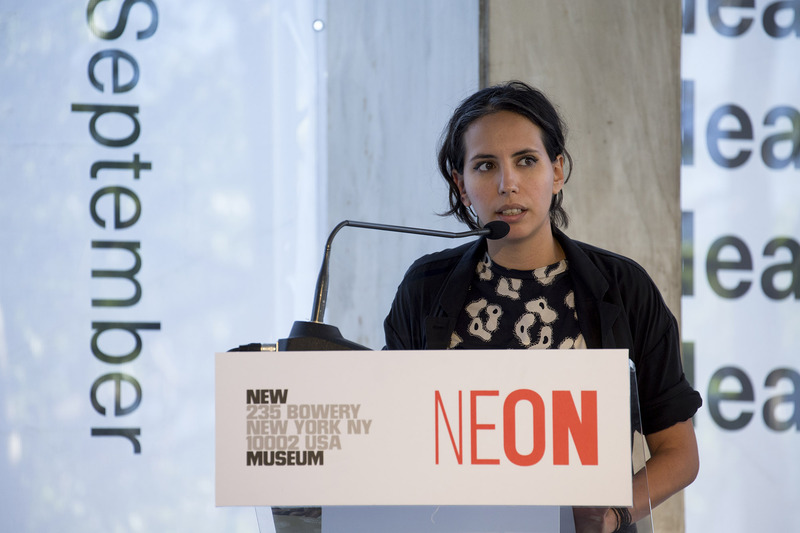 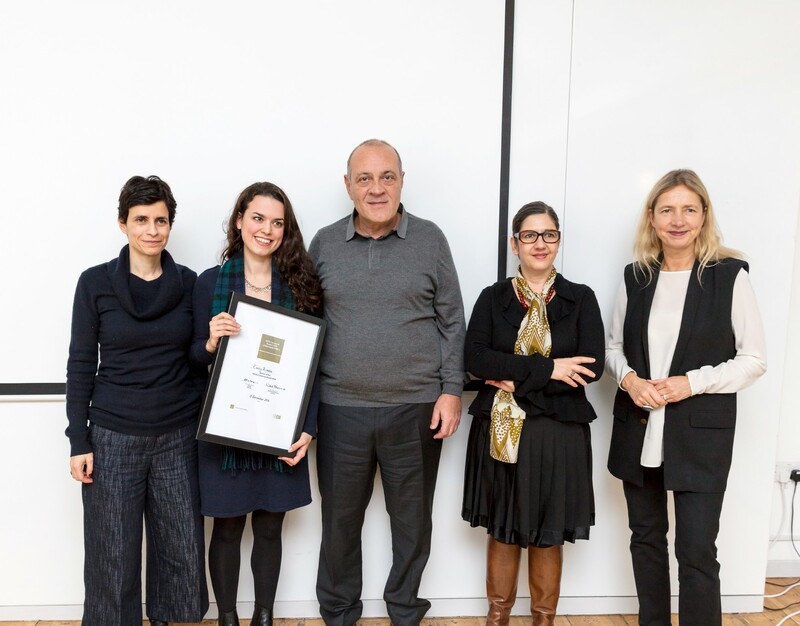 NEON and Whitechapel Gallery are pleased to announce Emily Riddle as the winner of the 2016 NEON Curatorial Award. 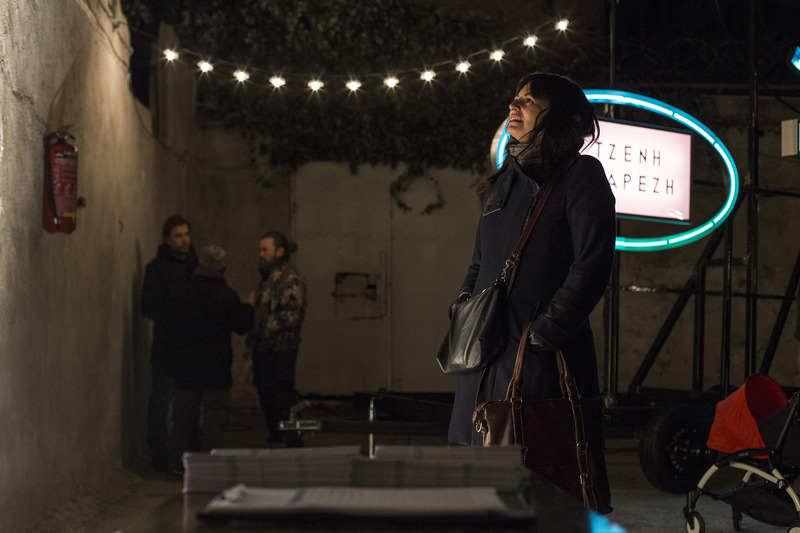 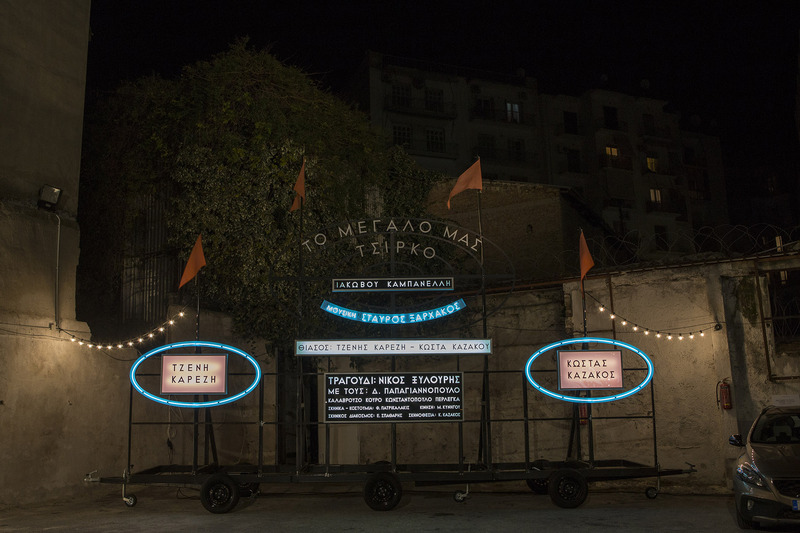 NEON presents the installation 'The Performance' by Zafos Xagoraris, as part of the CITY PROJECT, curated by Katerina Gregos. 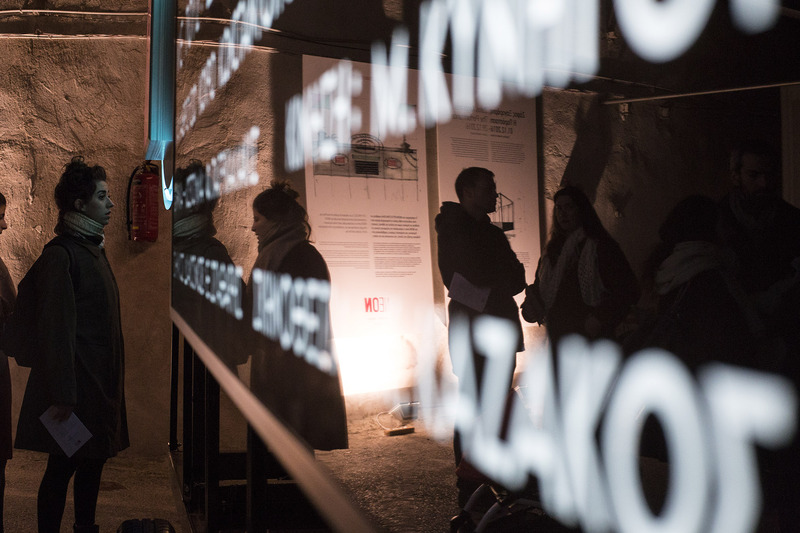 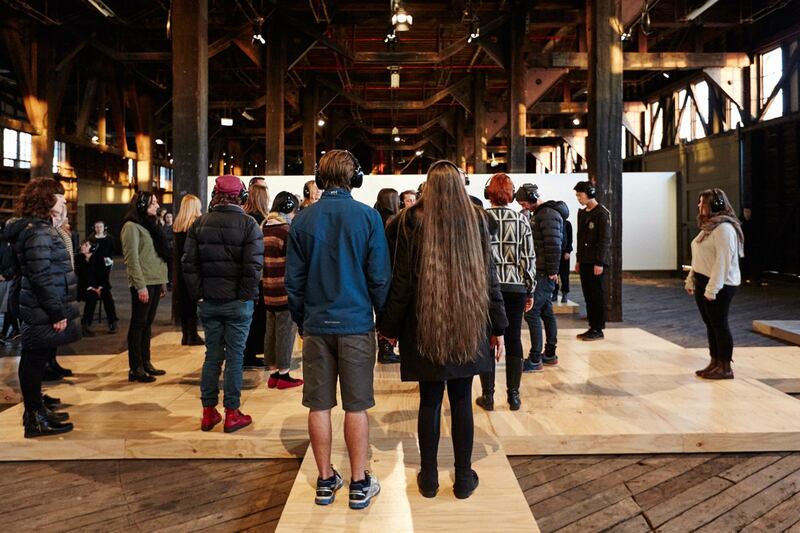 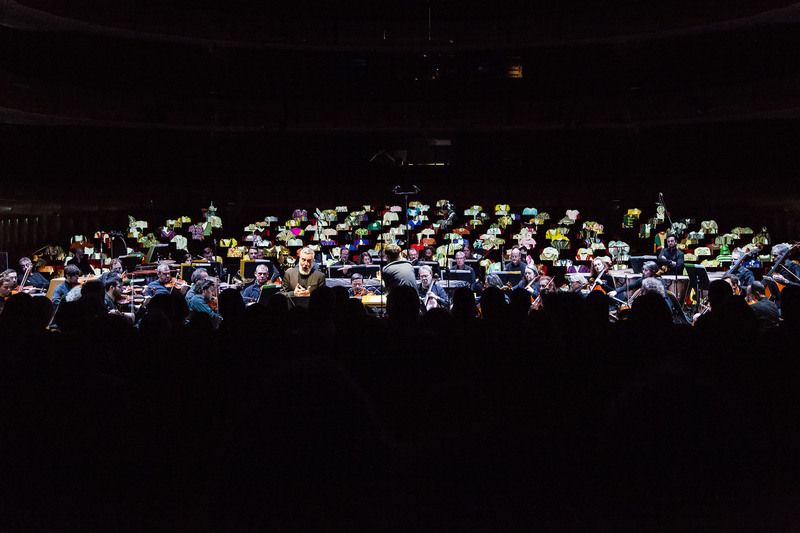 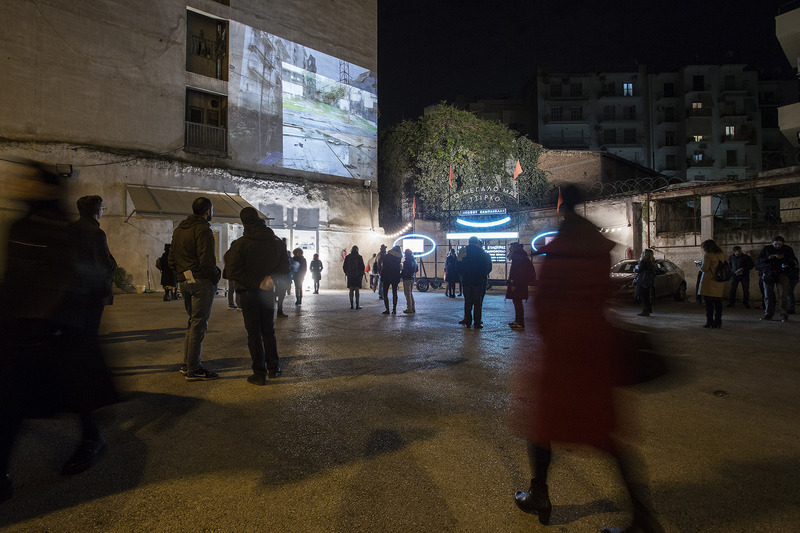 View photos from the Opening of the CITY PROJECT. 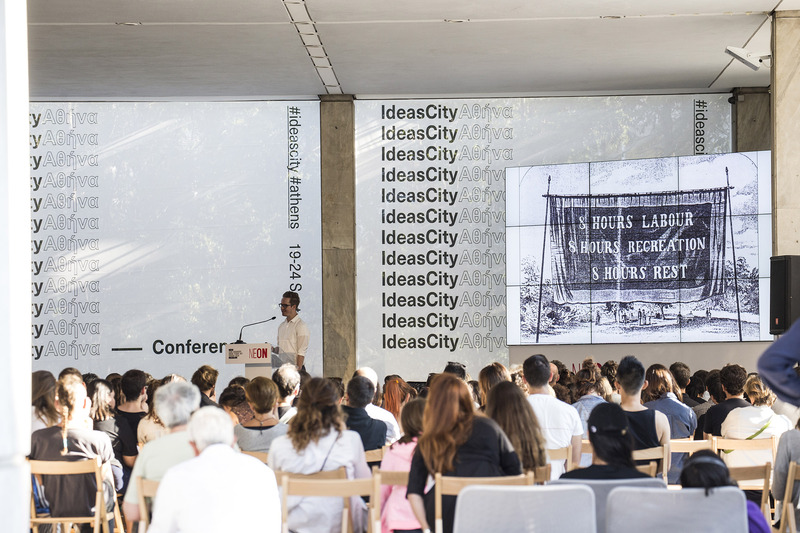 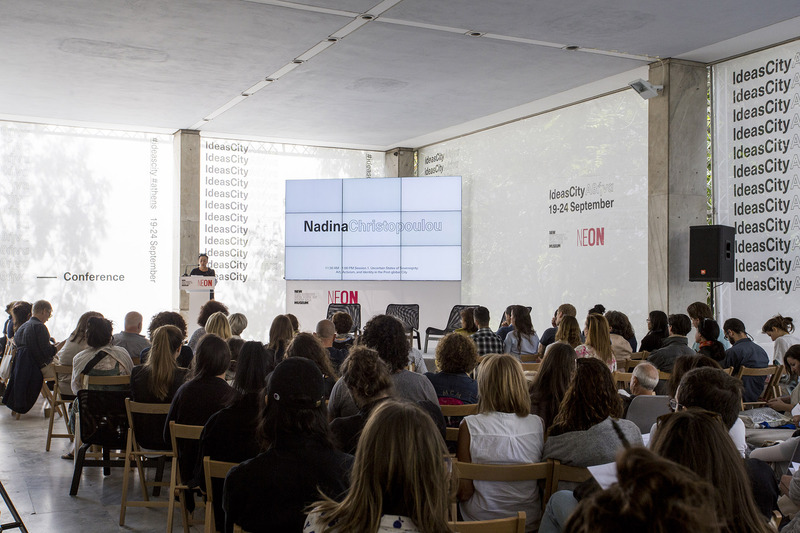 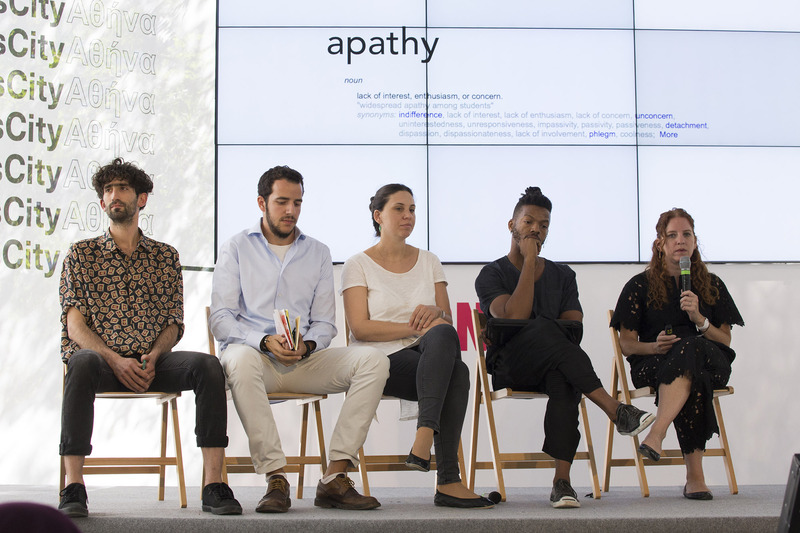 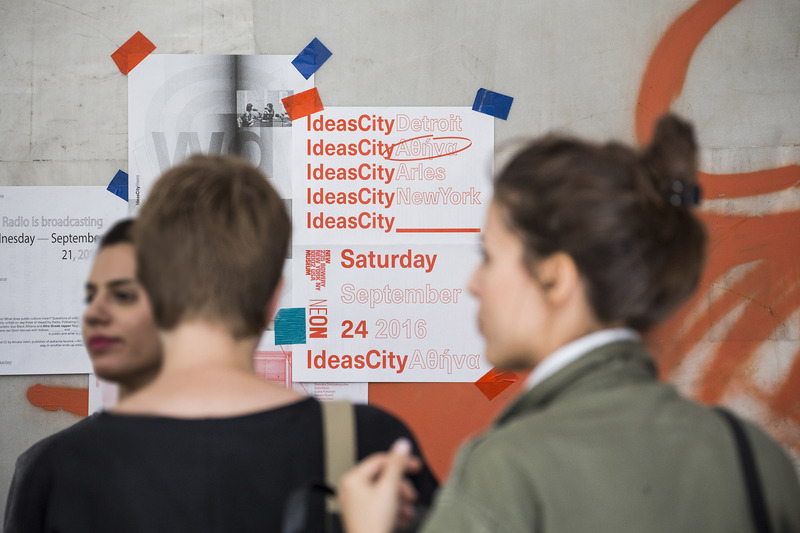 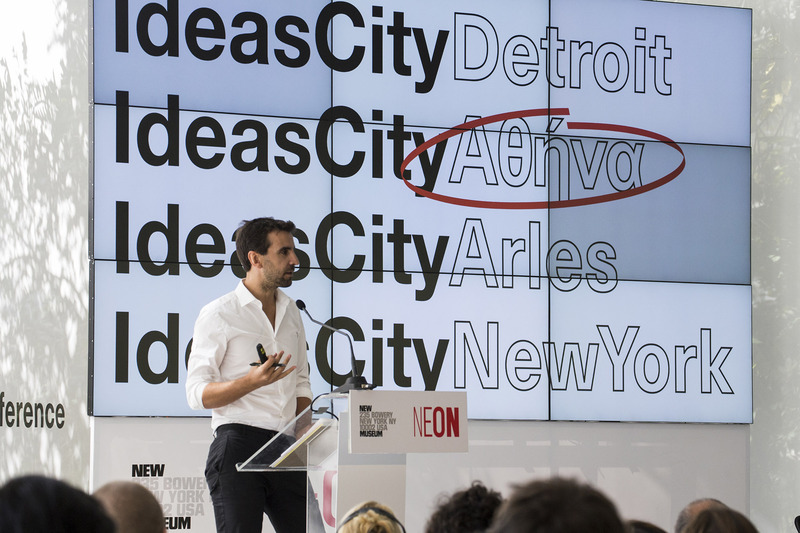 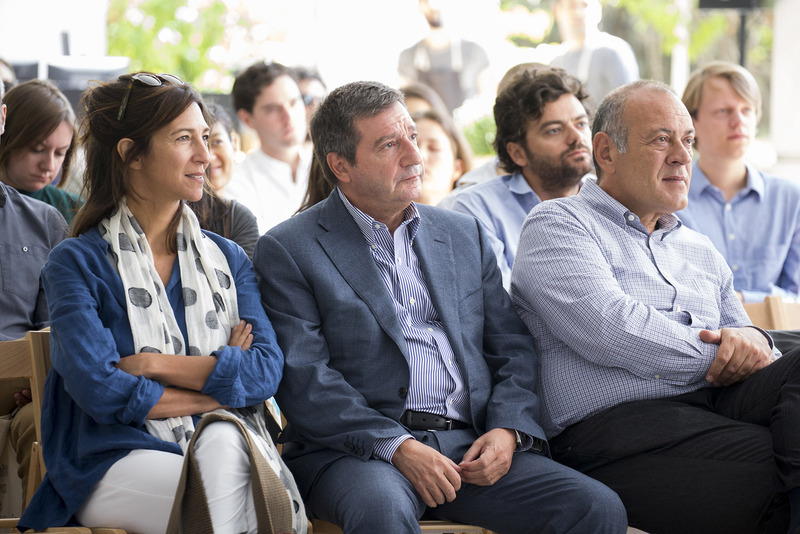 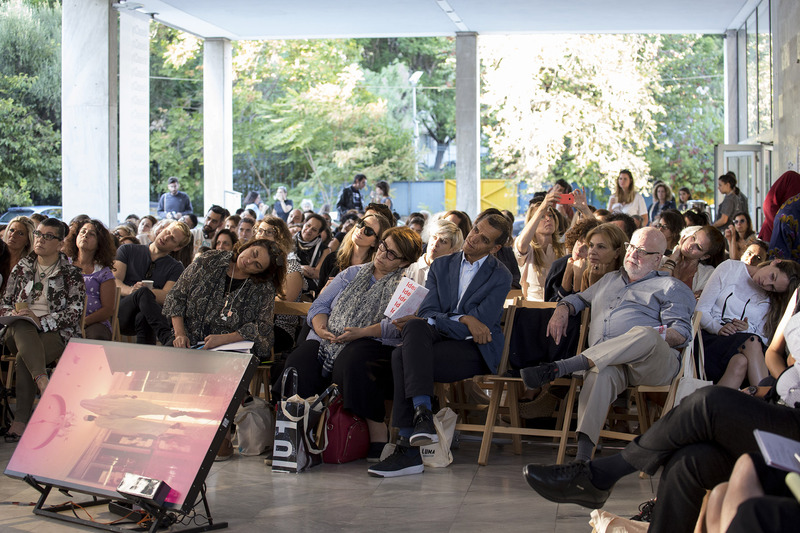 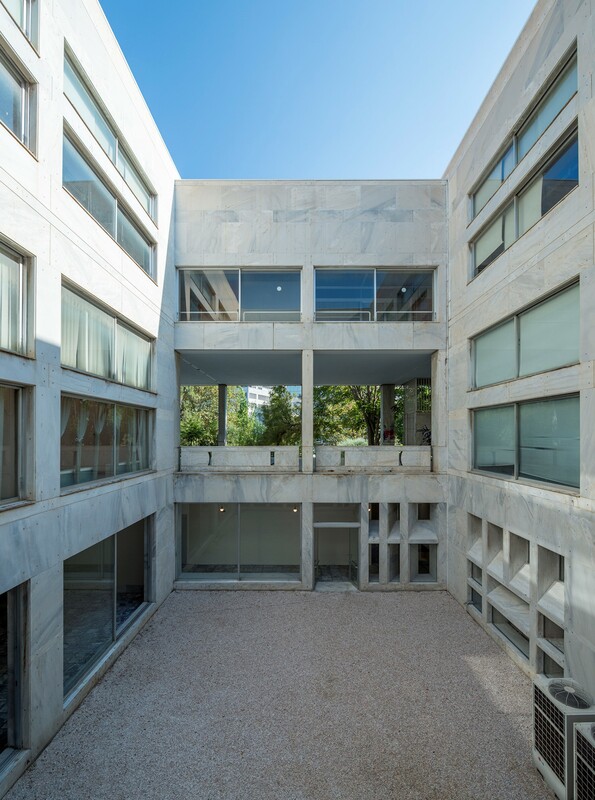 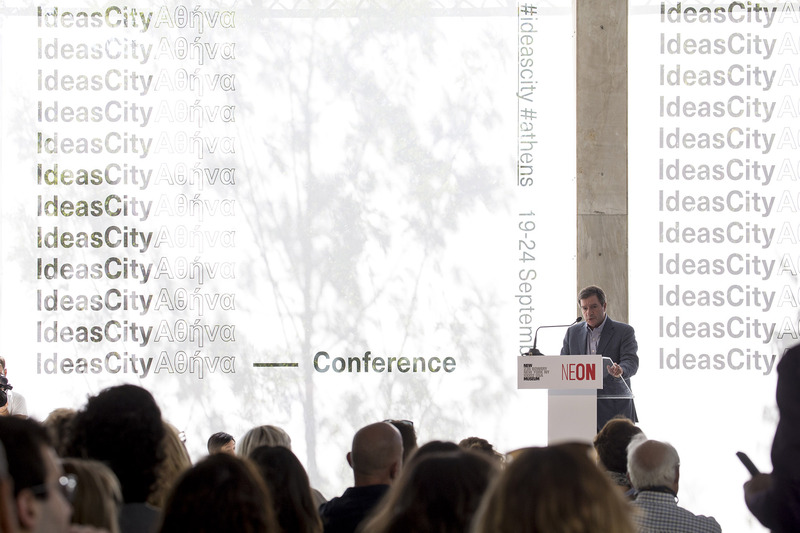 Ideas City Athens Residency Program ended with an all-day Public Conference open to the public, which filled the building of the Athens Conservatoire with new ideas & concerns for our City. 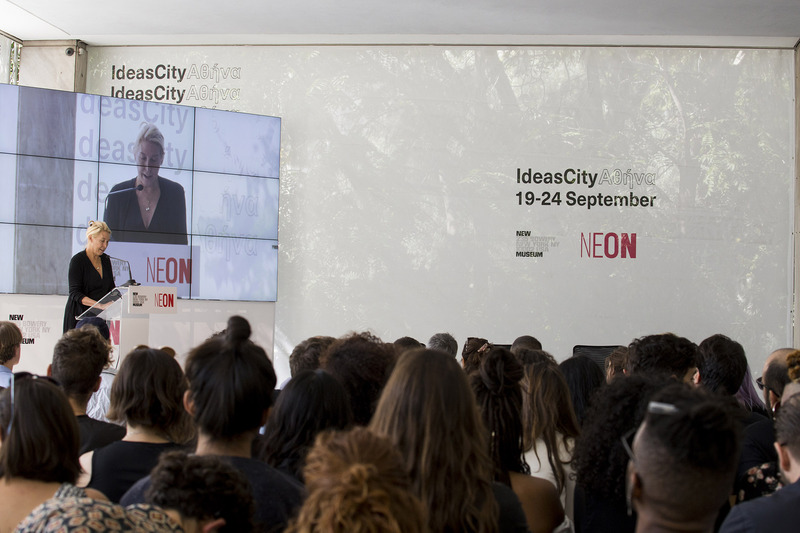 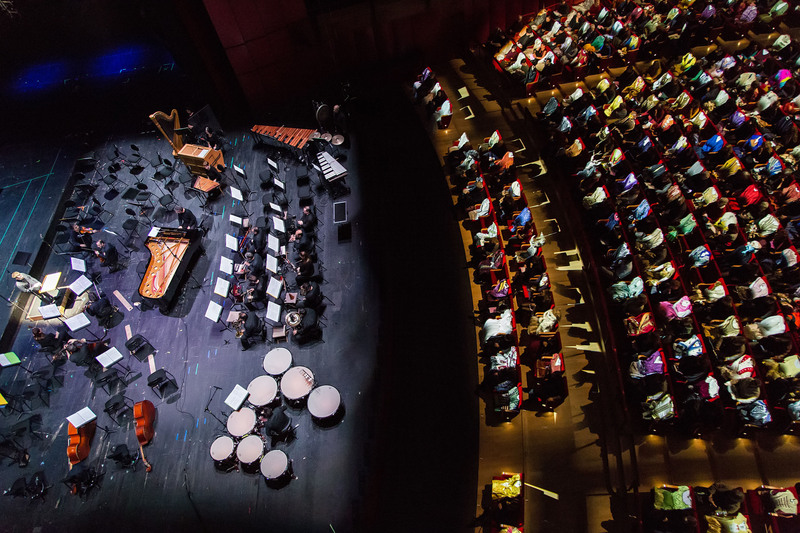 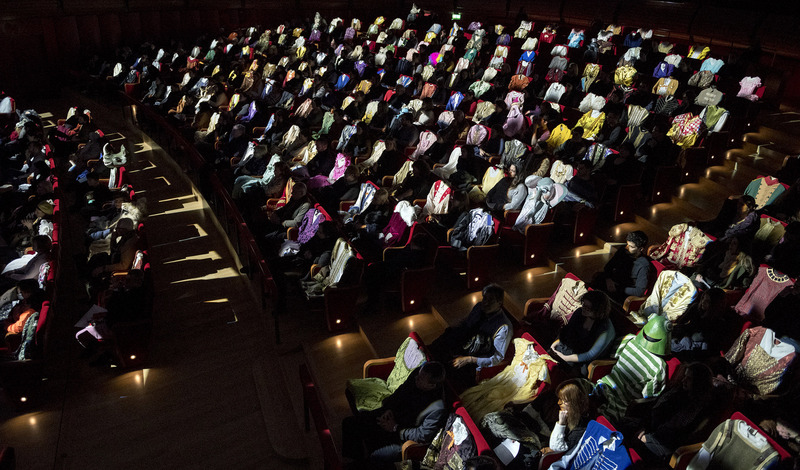 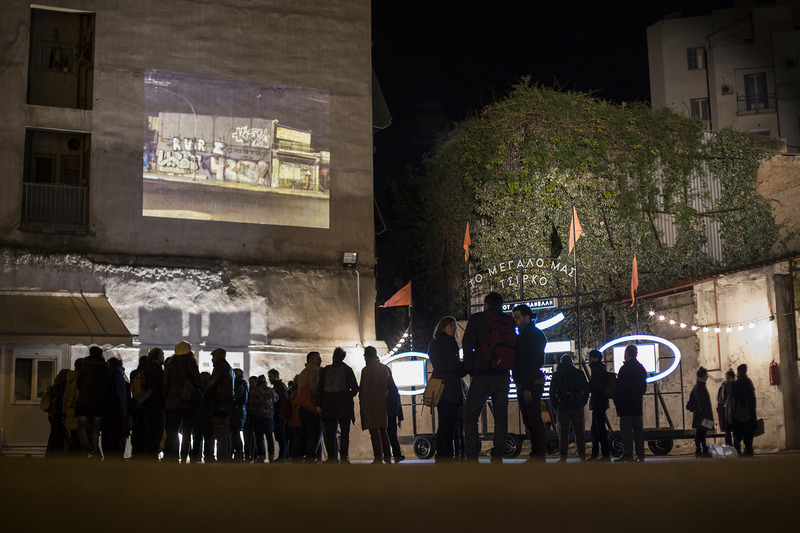 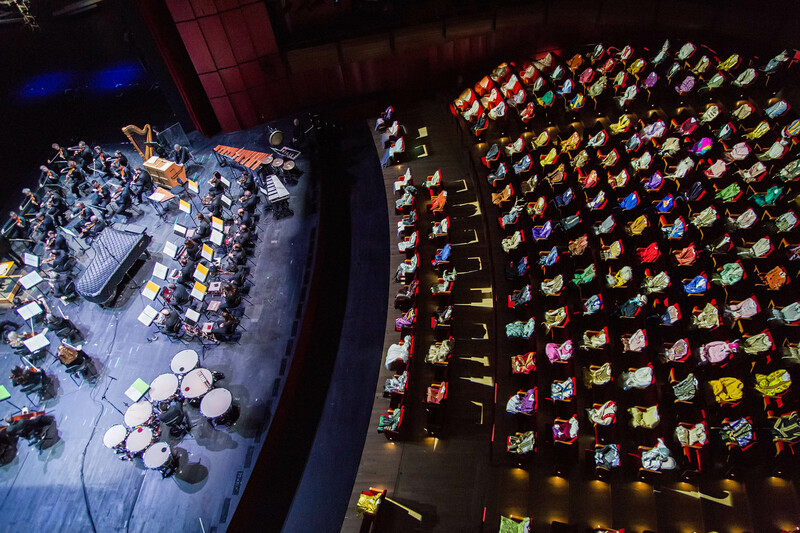 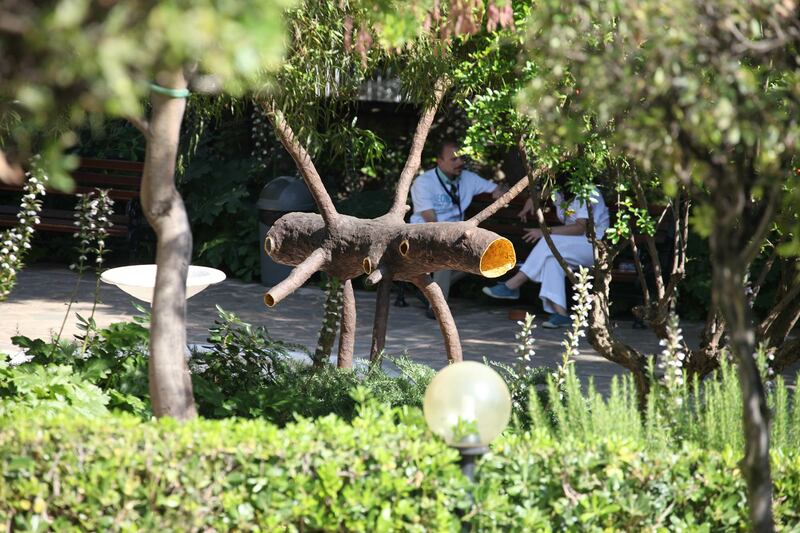 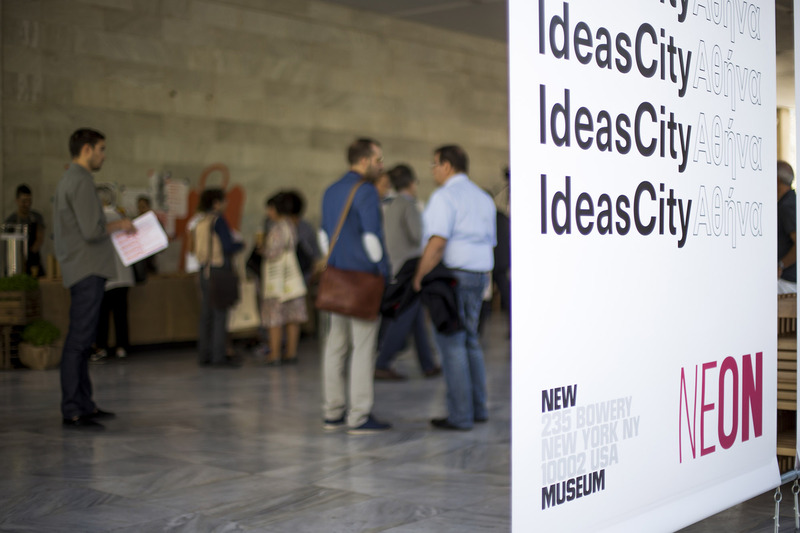 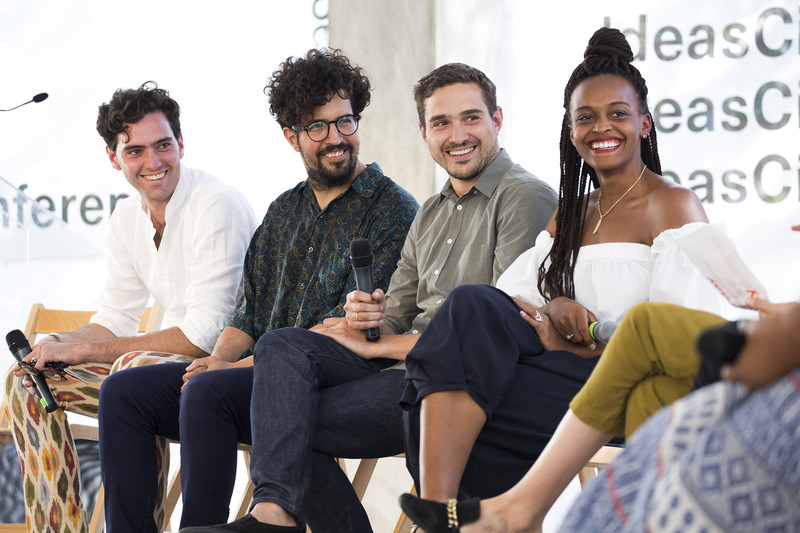 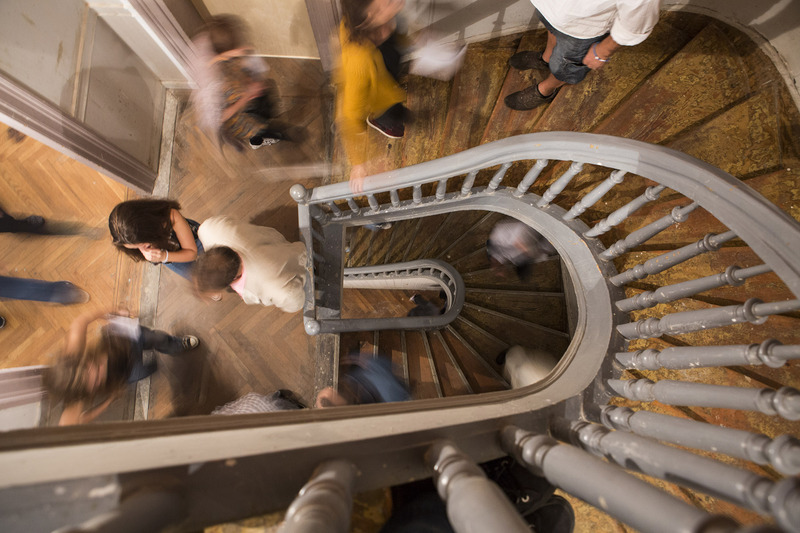 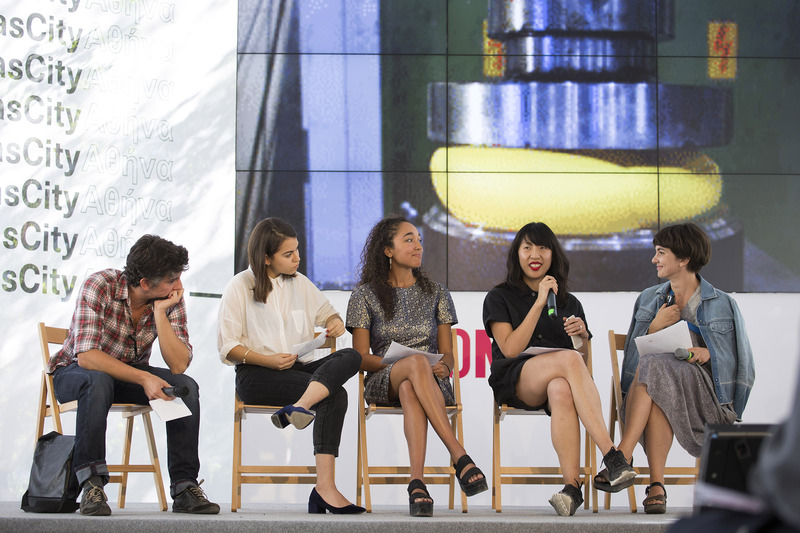 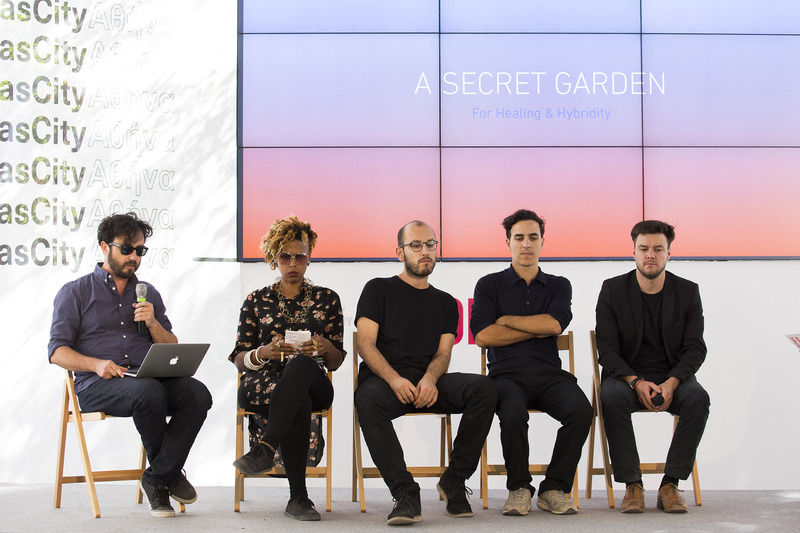 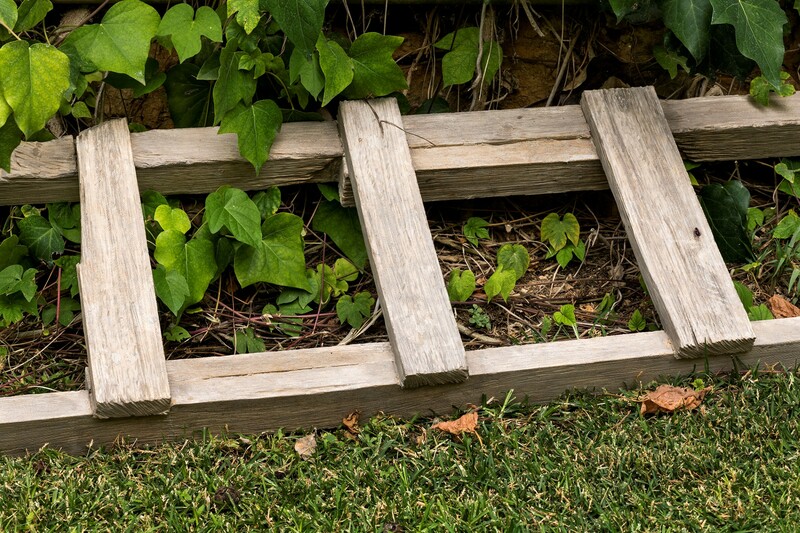 Speakers and Fellows of IdeasCity turned Athens into a multifunctional hub of cultural activity. 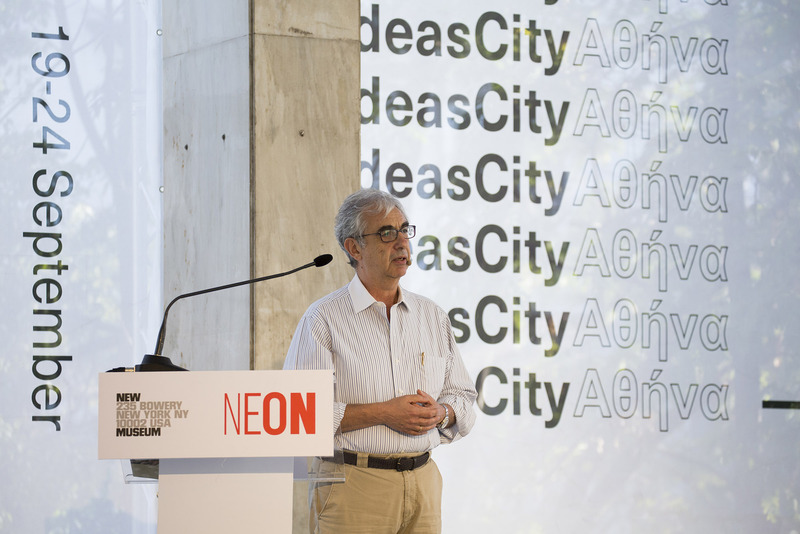 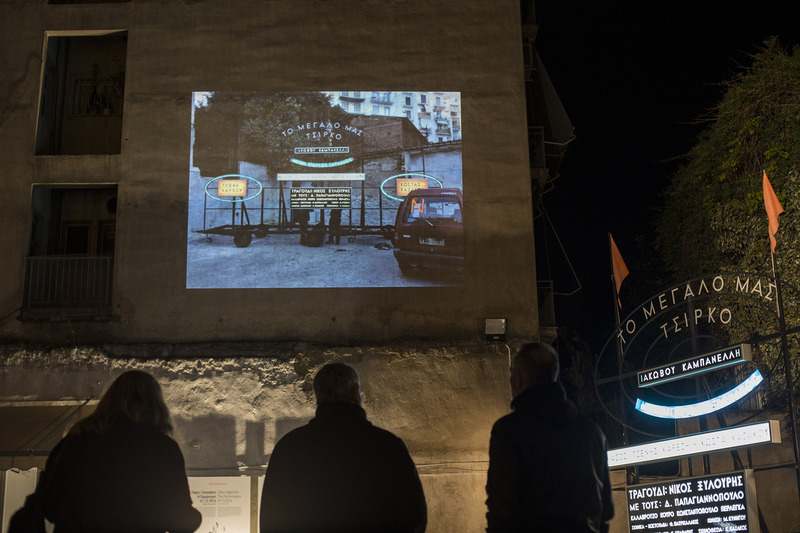 Read the online version of the book NEON Community Project | Aigaleo City, curated by locus athens (in Greek). 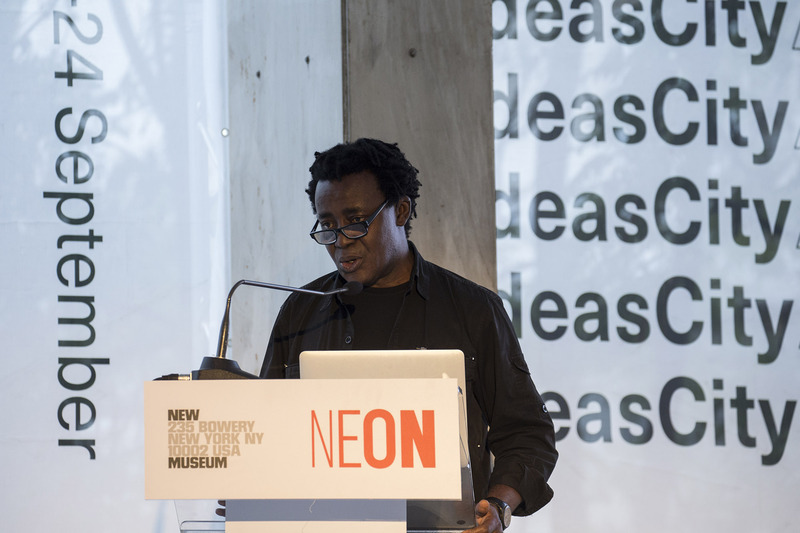 NEON is pleased to announce an extensive program of exhibitions, educational initiatives and institutional collaborations for 2016. 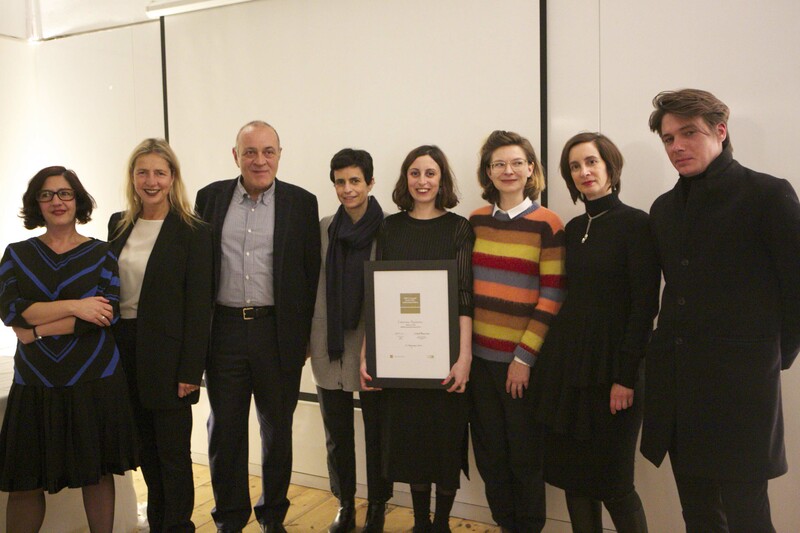 NEON and Whitechapel Gallery are pleased to announce Joseph Constable and Rebecca Edwards as the winners of the 2015 NEON Curatorial Award. 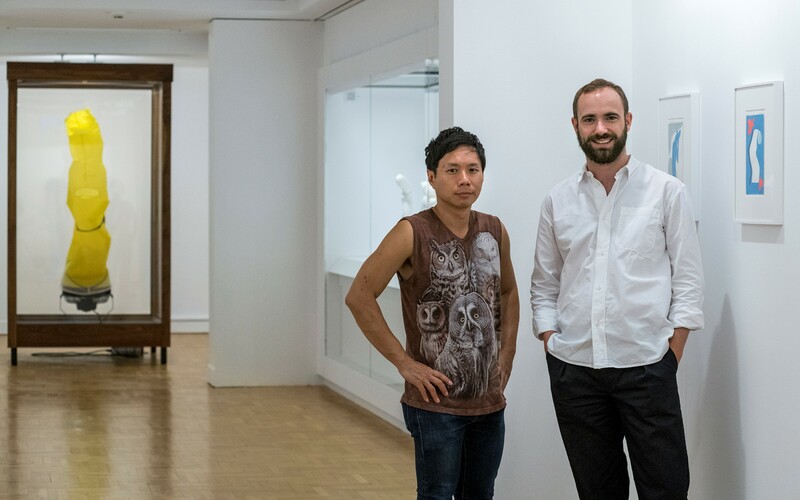 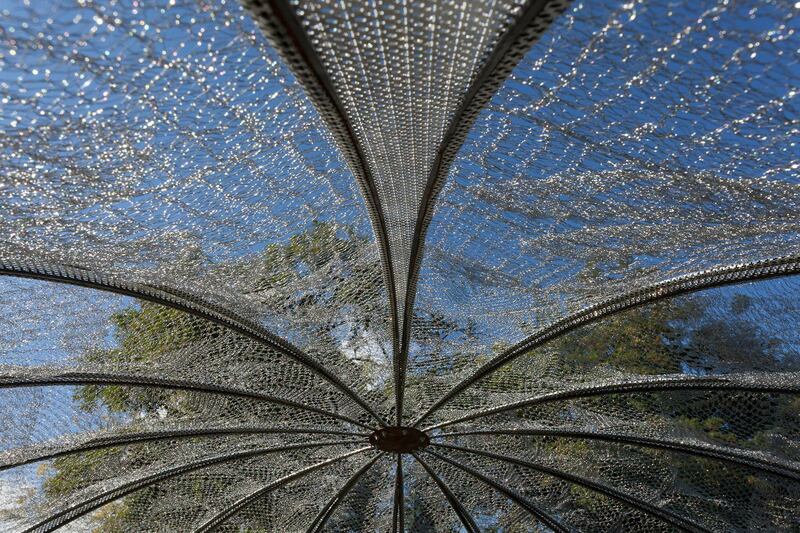  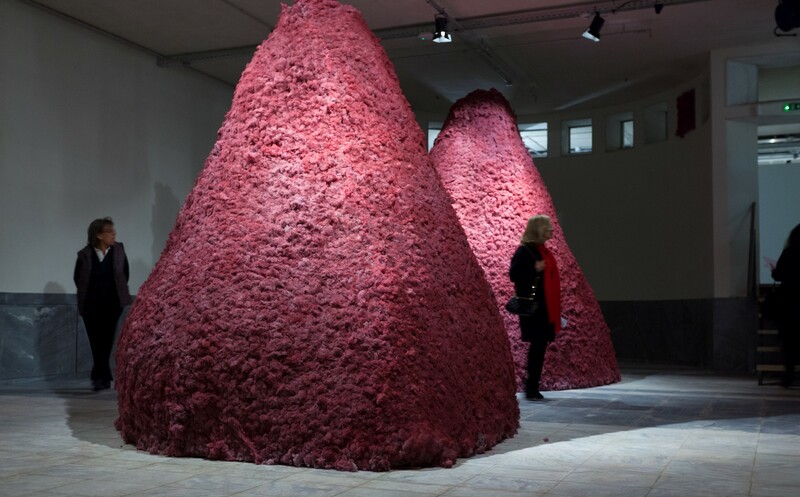 This is the first year in which two winning curators have been selected. 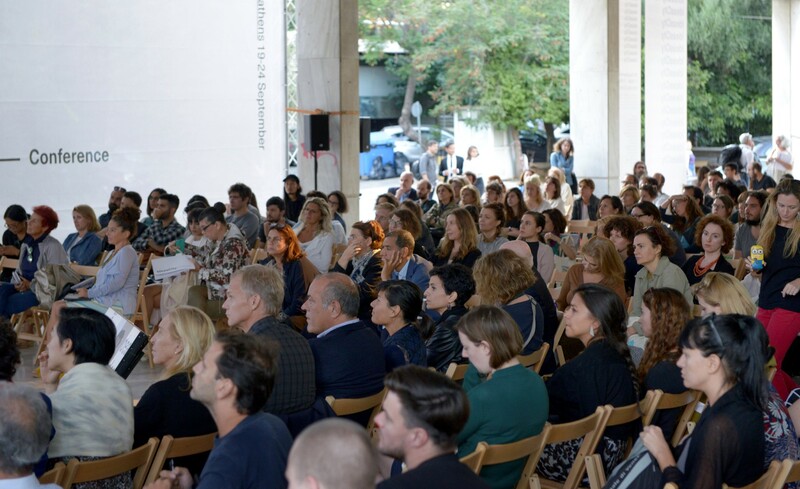 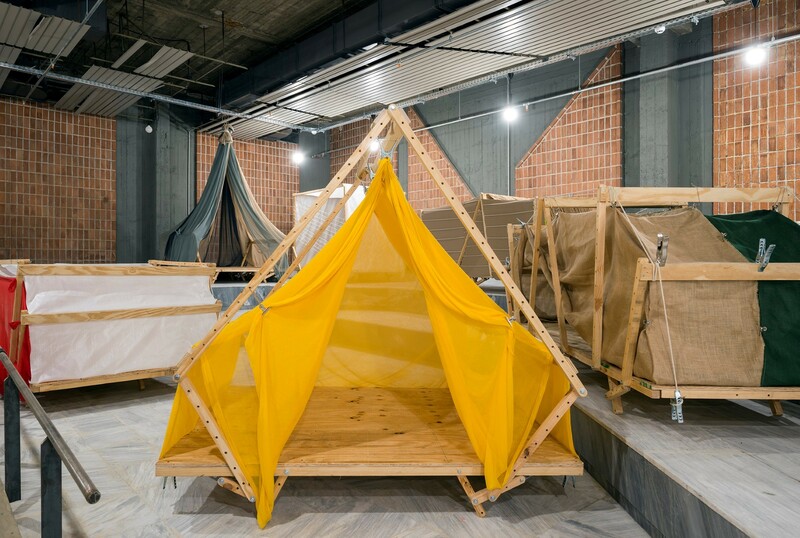 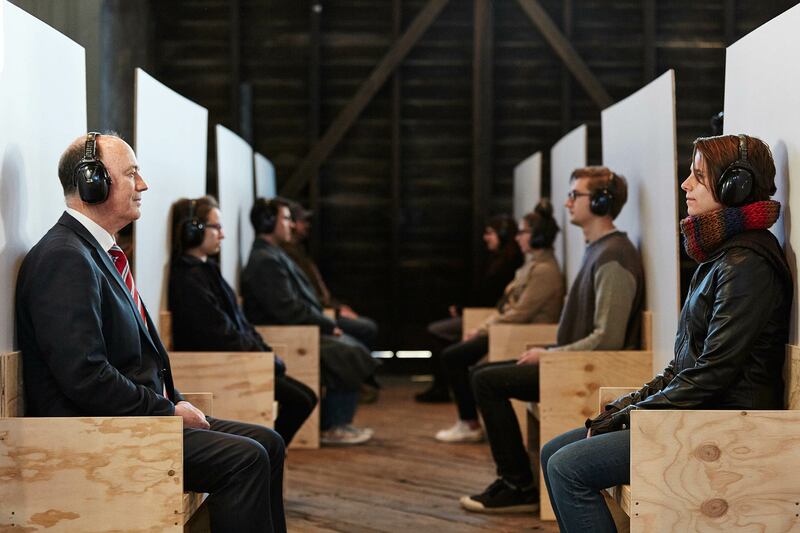 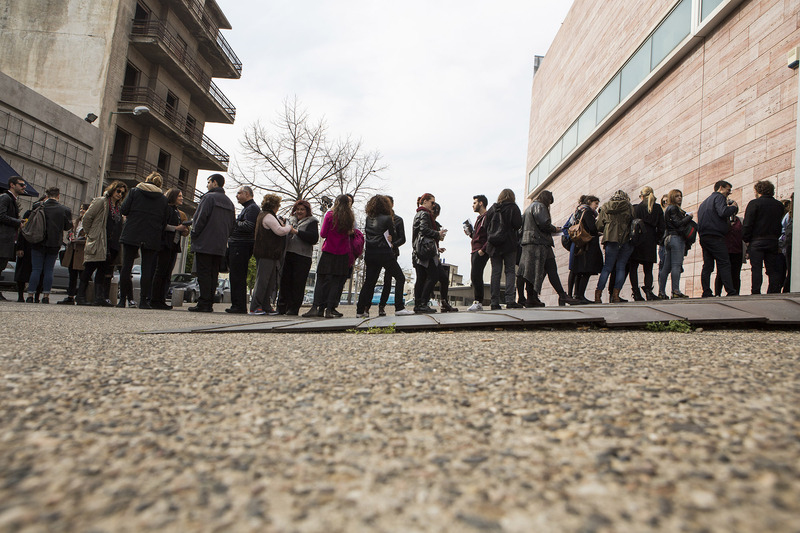 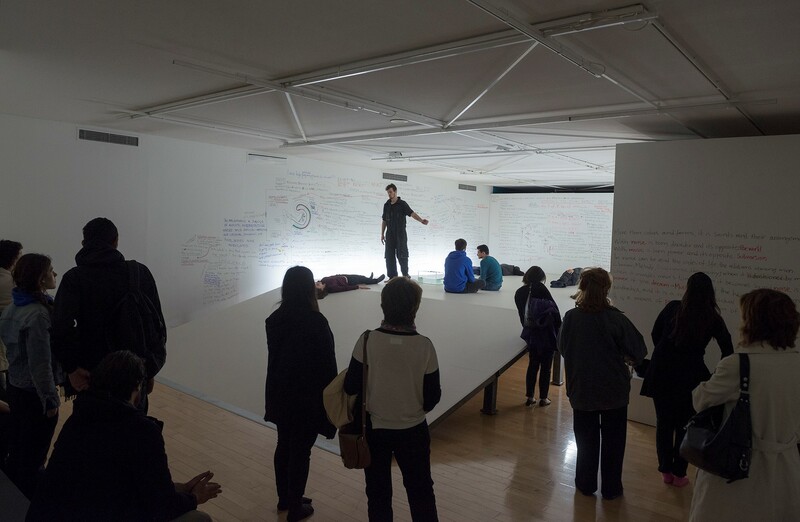 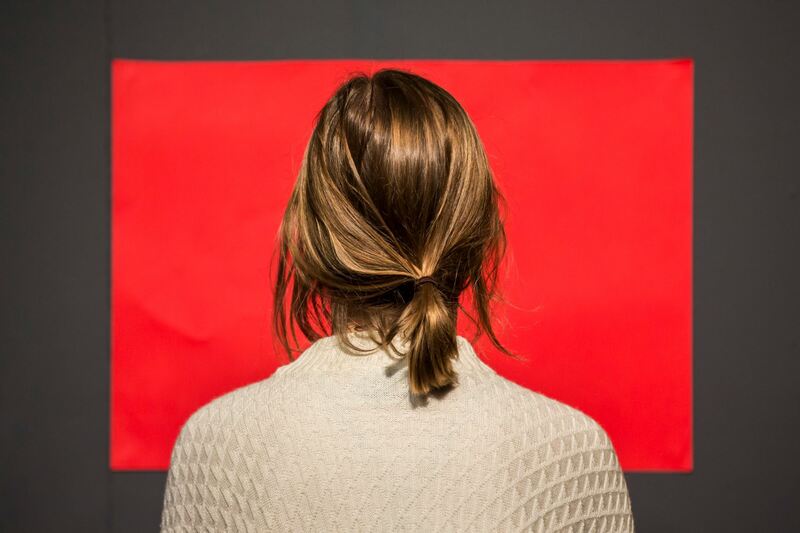 NEON and Marina Abramović Institute are seeking facilitators for the Abramović Method, which will take place in Athens as part of a large show from March 10th to April 24th, 2016. 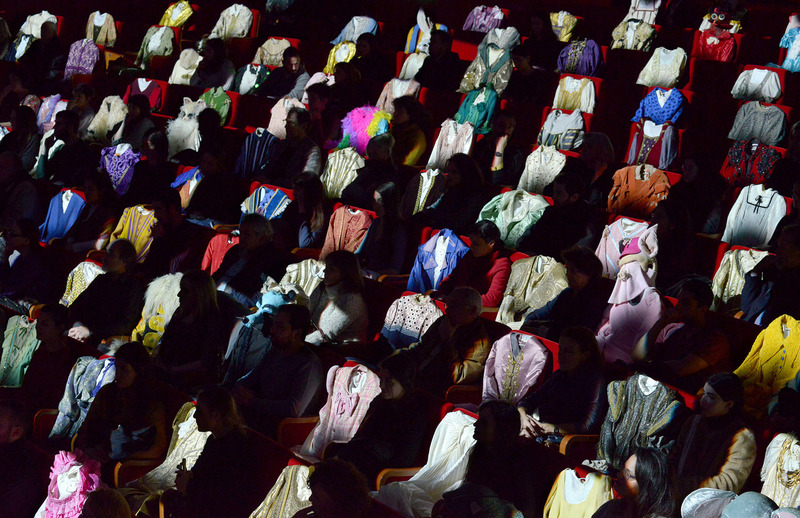 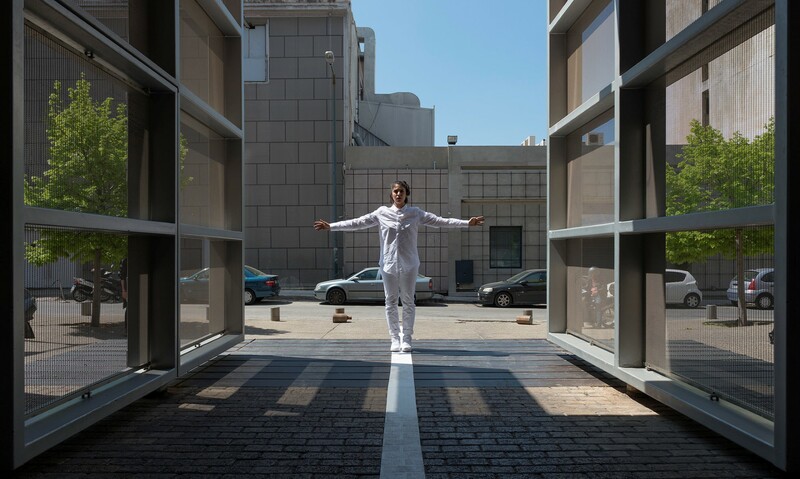 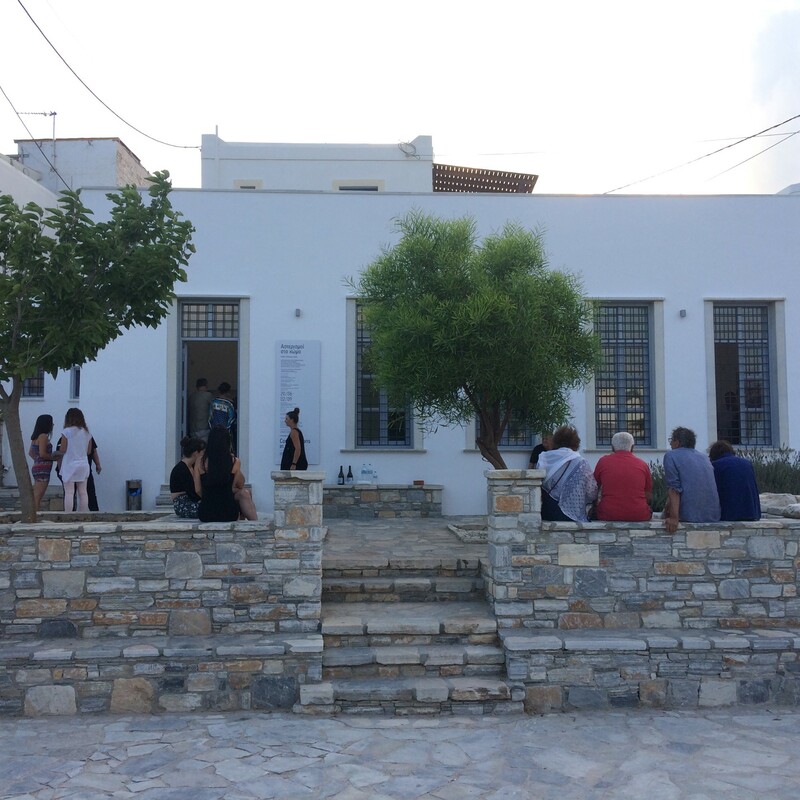 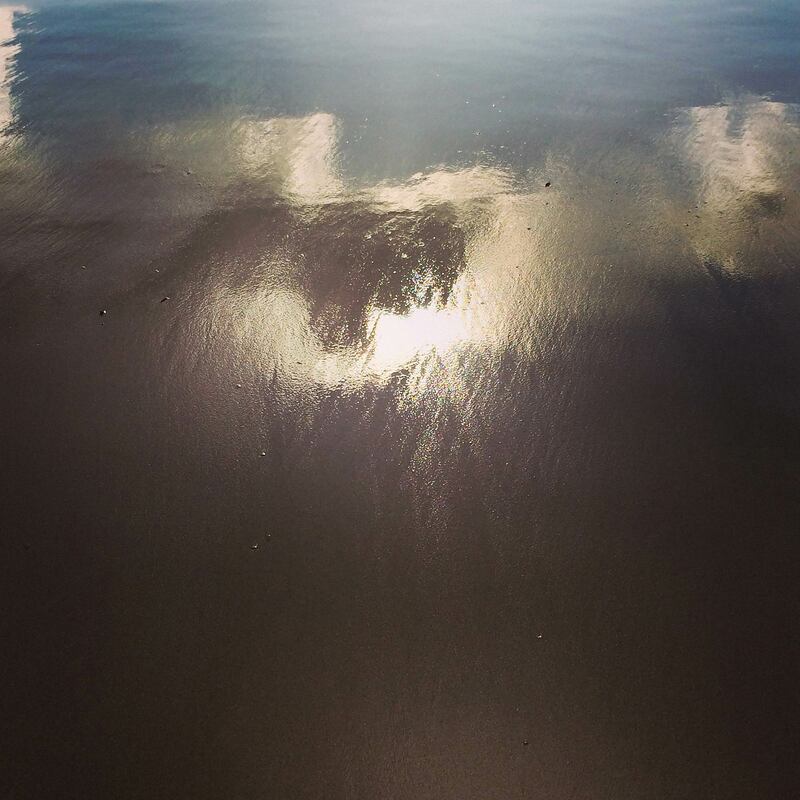 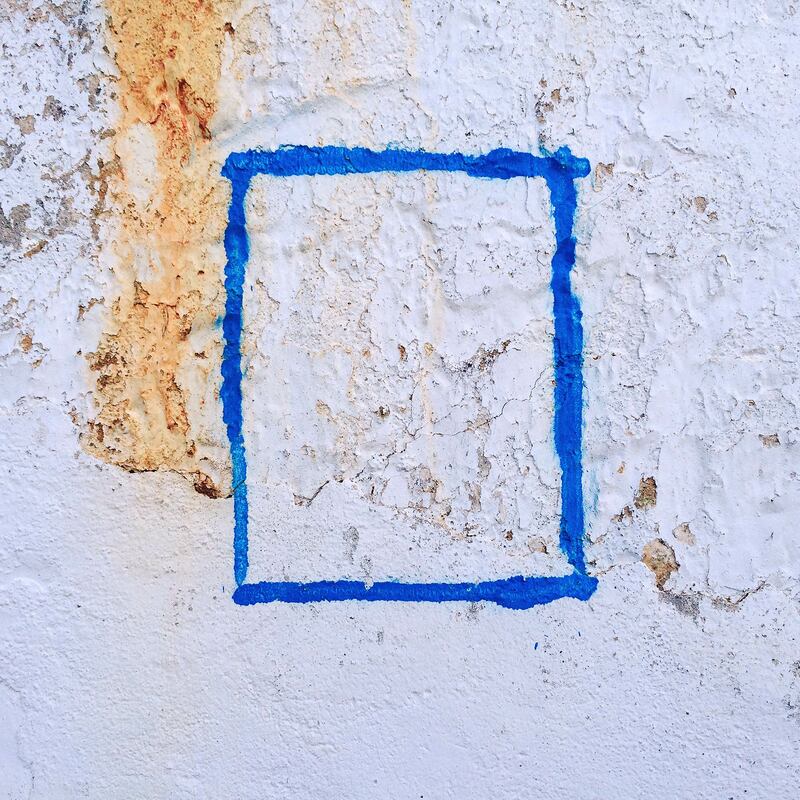 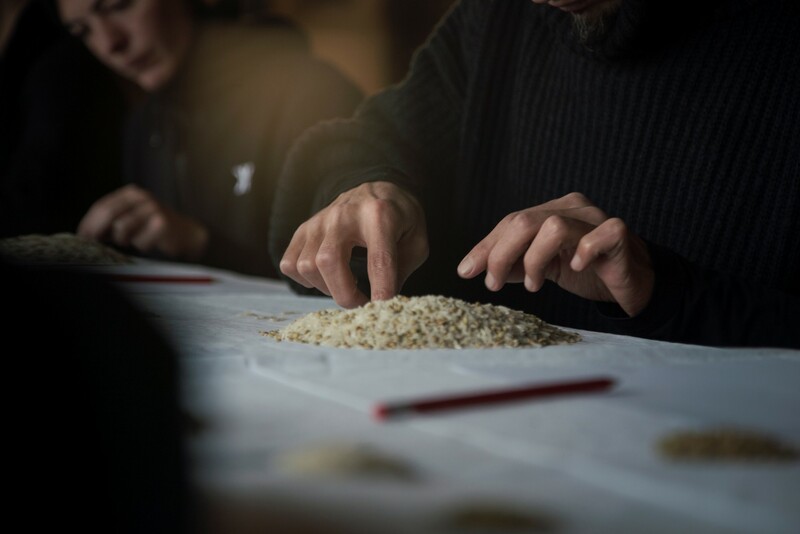 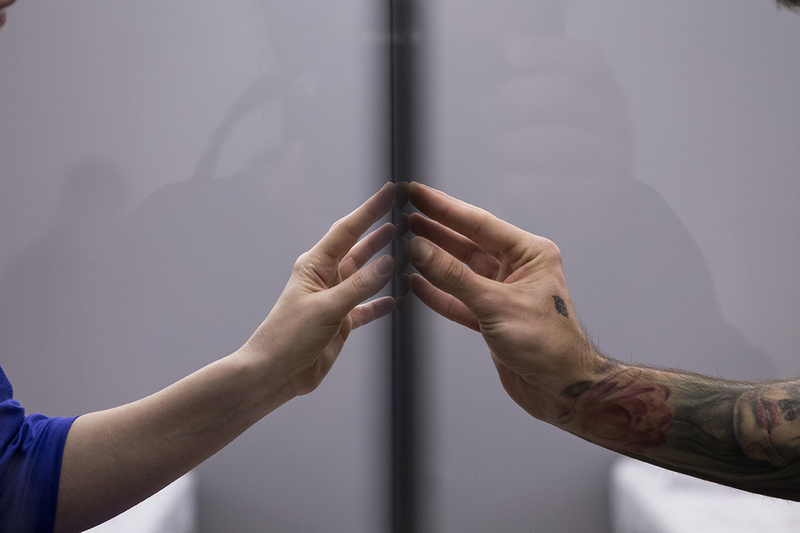 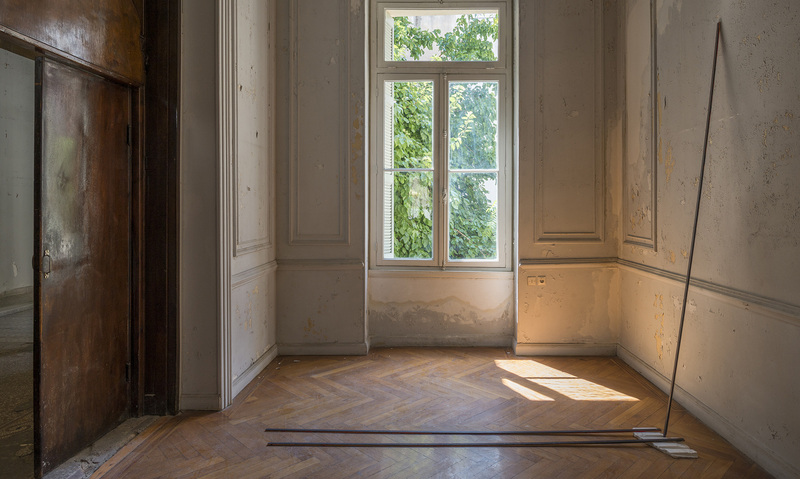 NEON and Marina Abramovic Institute are seeking established and practicing Greek artists working in all forms of performance to create new long-durational performances for an exhibition in March and April 2016. 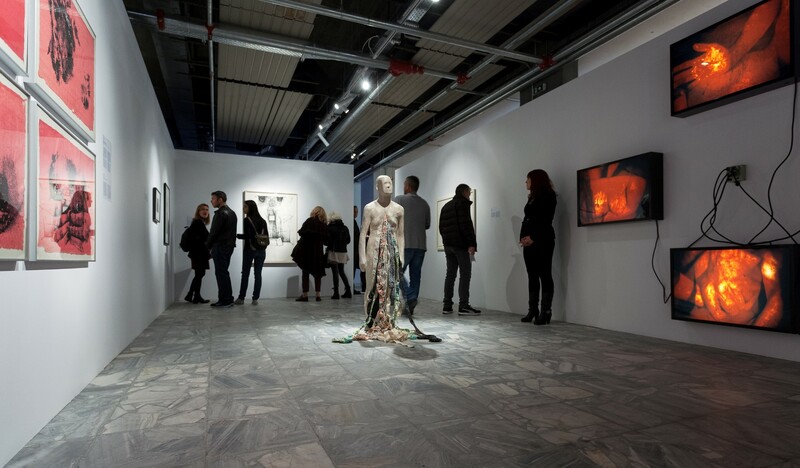 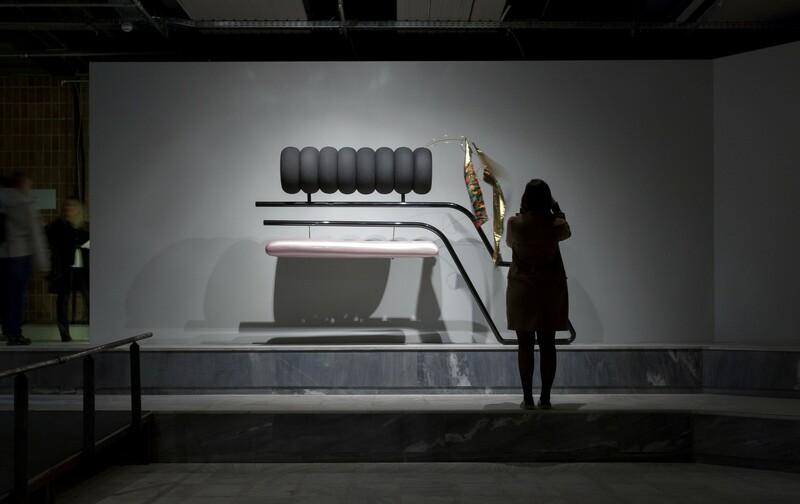 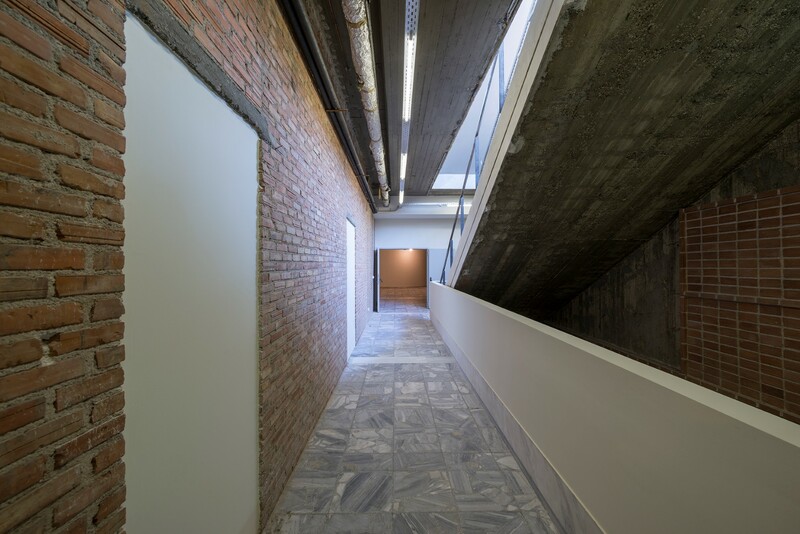 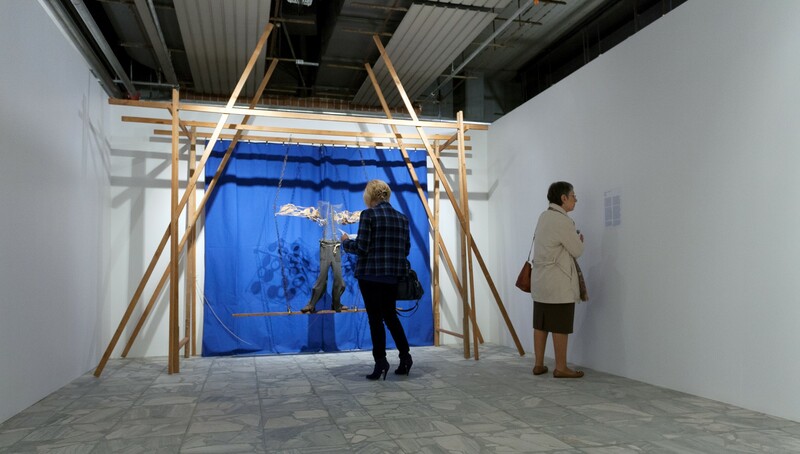 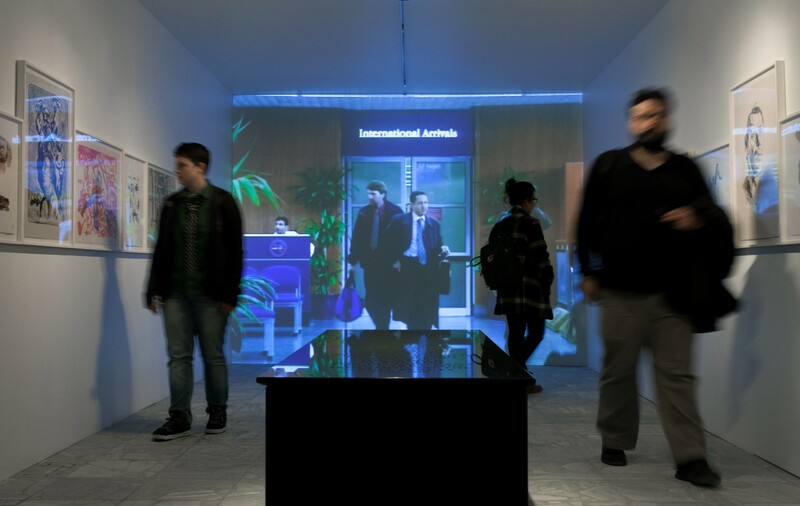 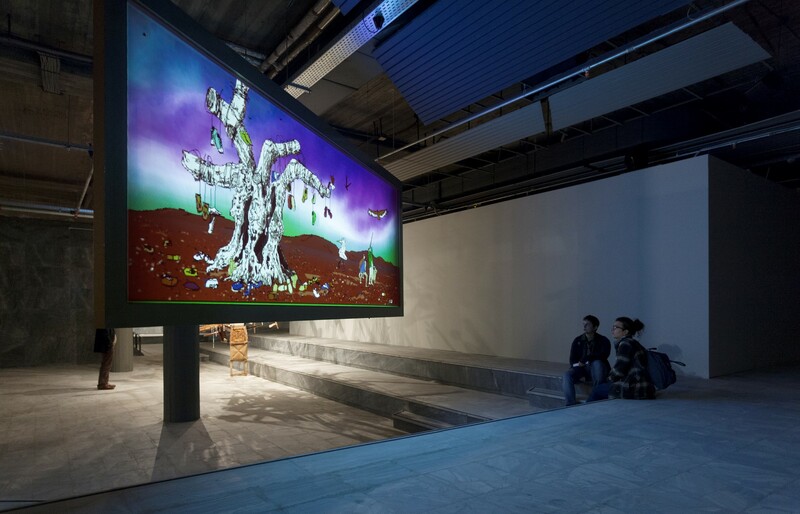 NEON’s exhibition ‘Flying over the Abyss’, previously presented at the Museum of Contemporary Art of Crete, now tours at the Contemporary Art Centre of Thessaloniki. 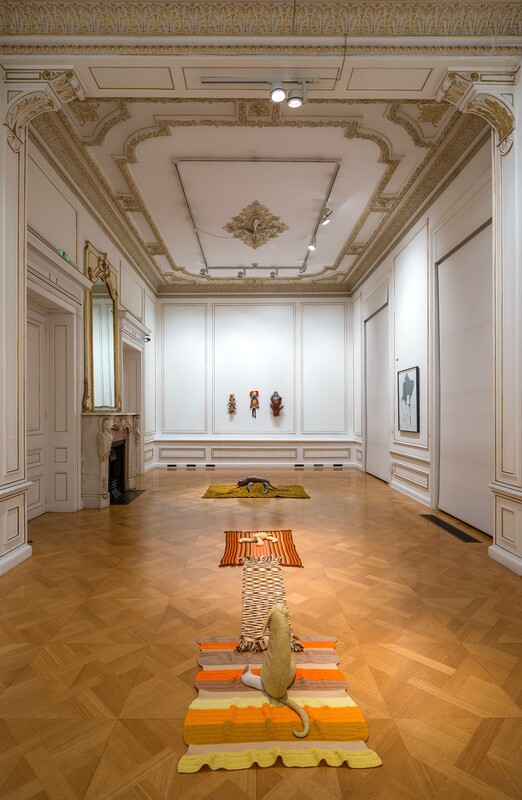 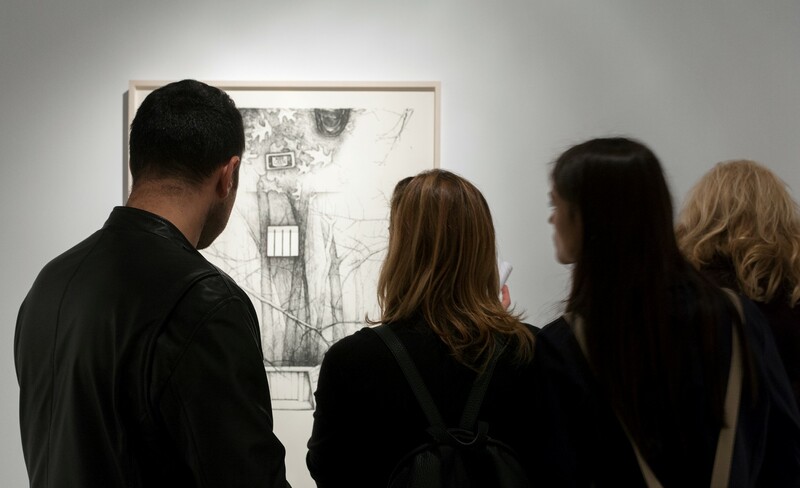 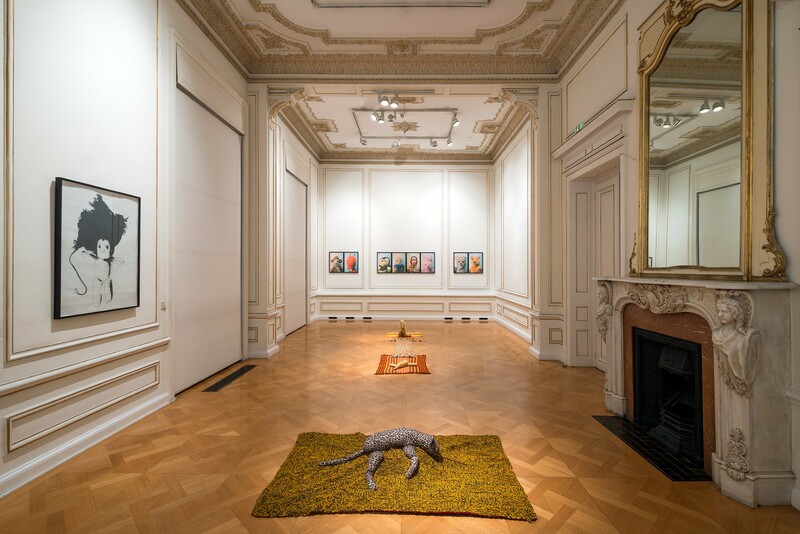 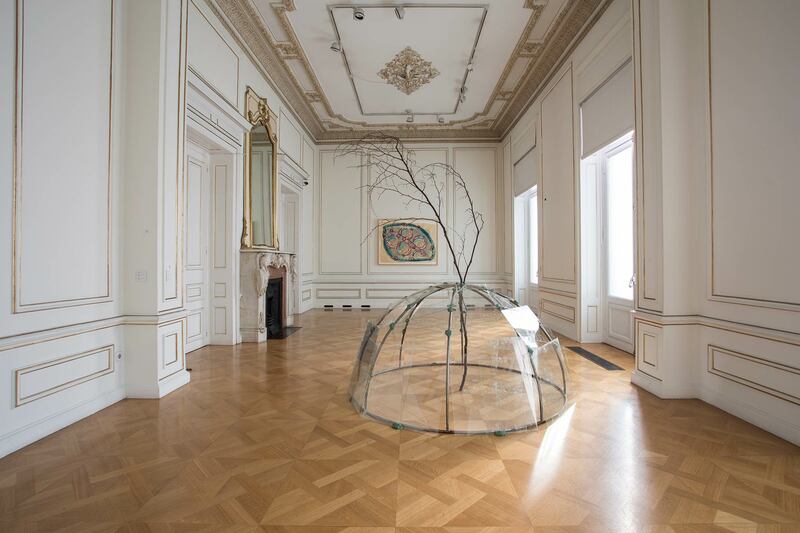 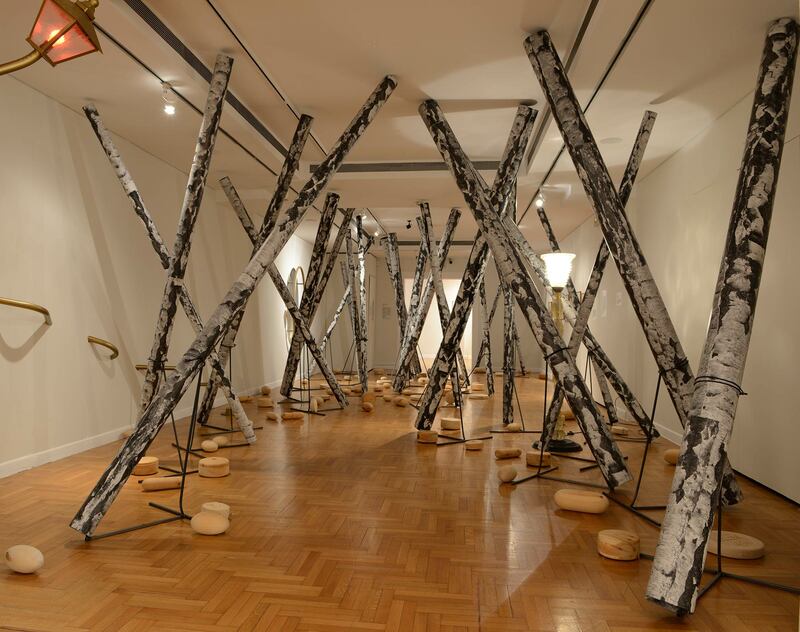 NEON, in collaboration with Fondazione Merz, presents the exhibition of Mario Merz, one of the most significant artists of the Arte Povera movement, at the Museum of Cycladic Art. 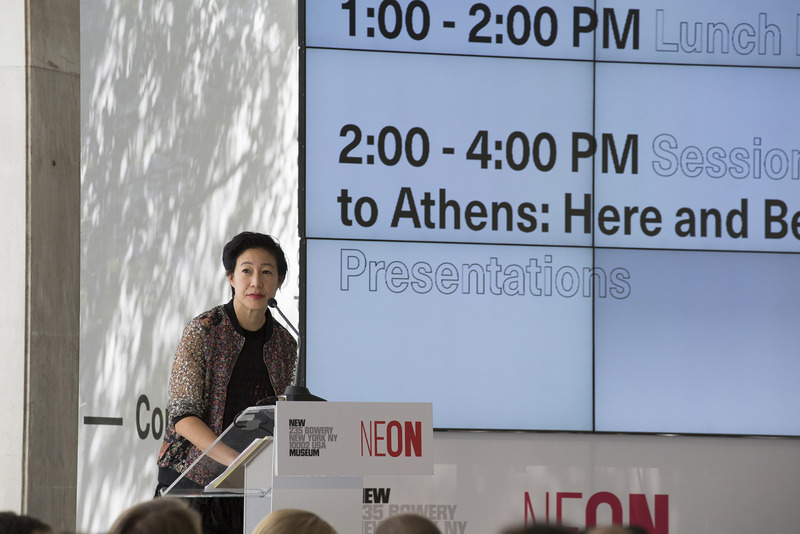 NEON is pleased to announce an extensive program of exhibitions, educational initiatives and institutional collaborations for 2015. 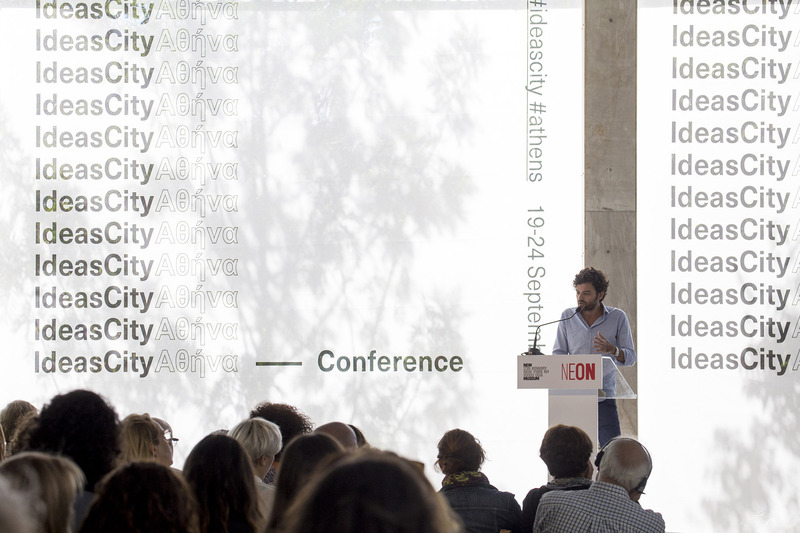 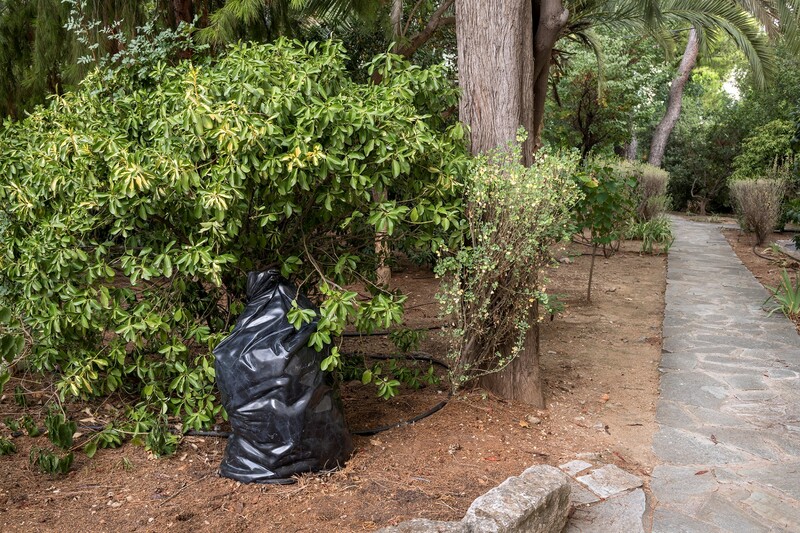 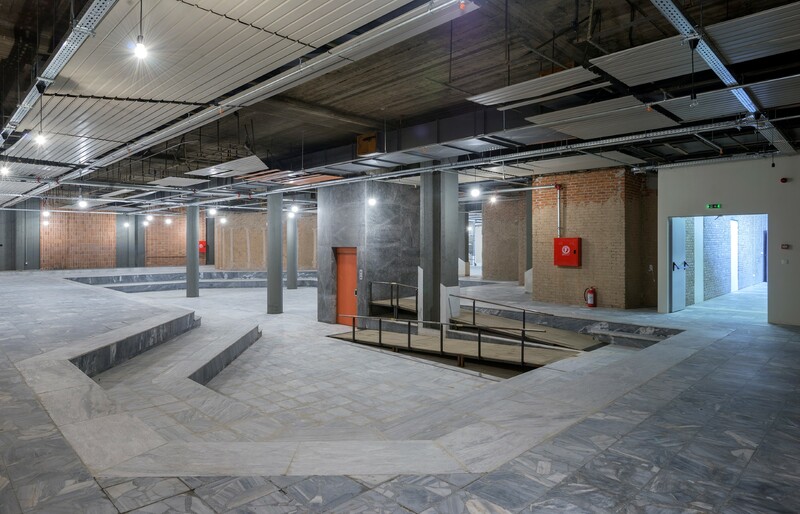 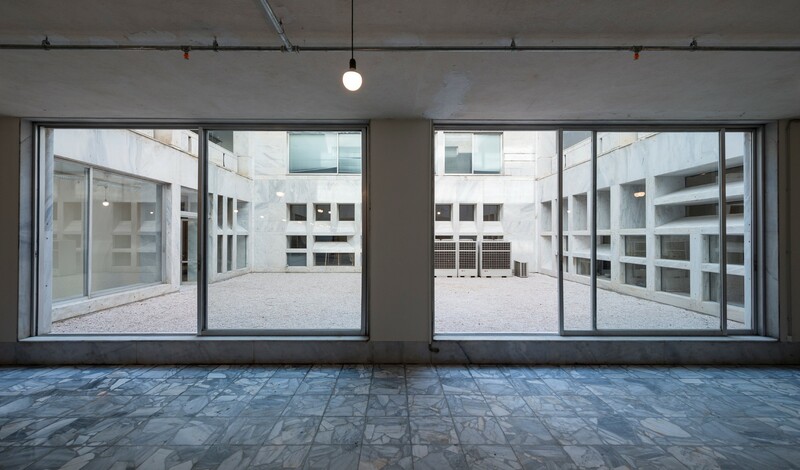 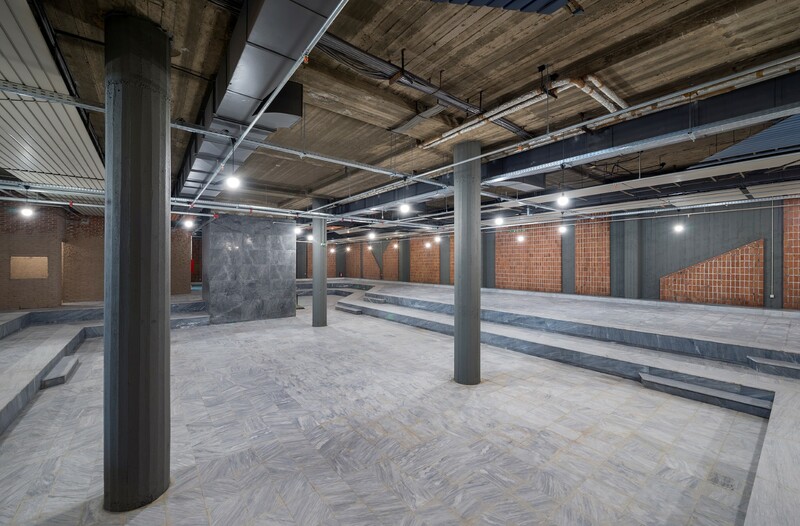 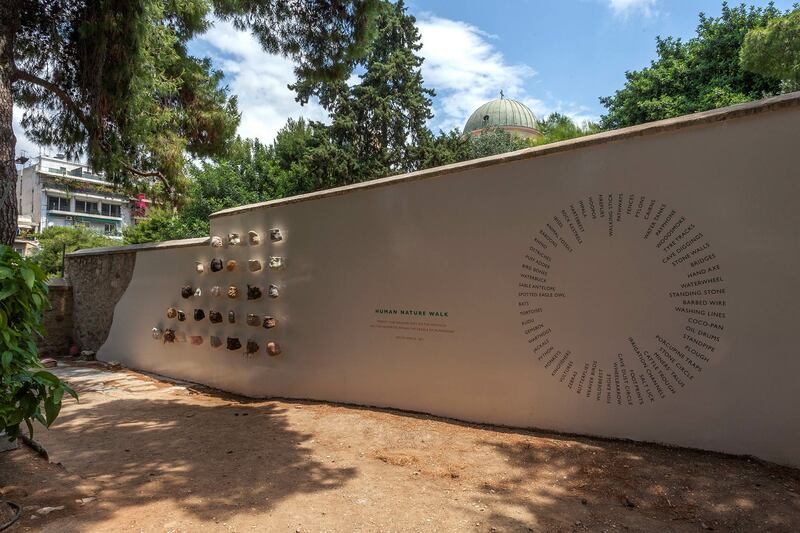 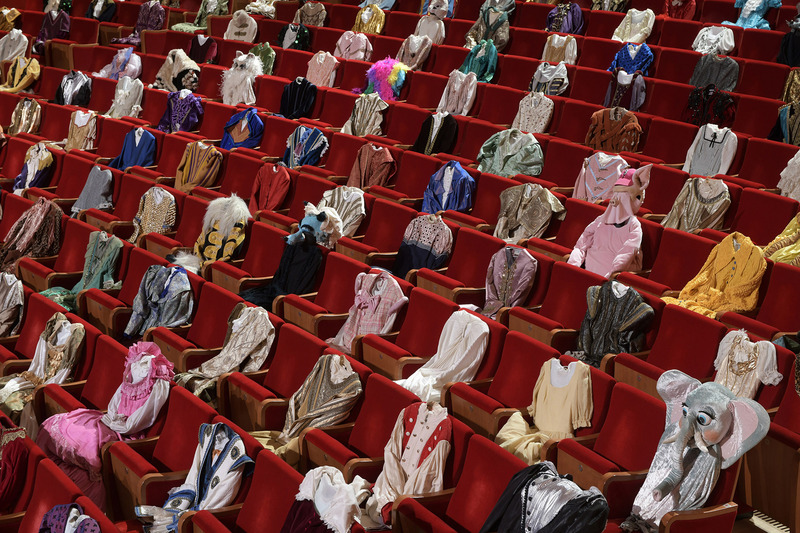 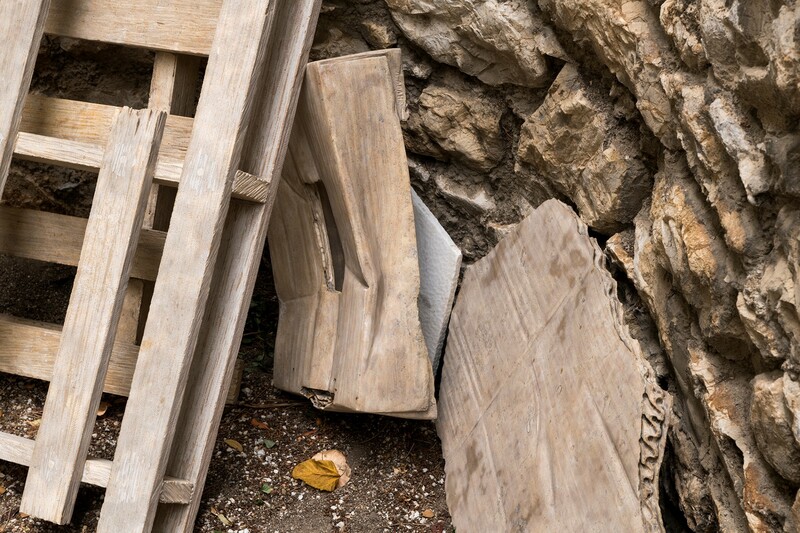 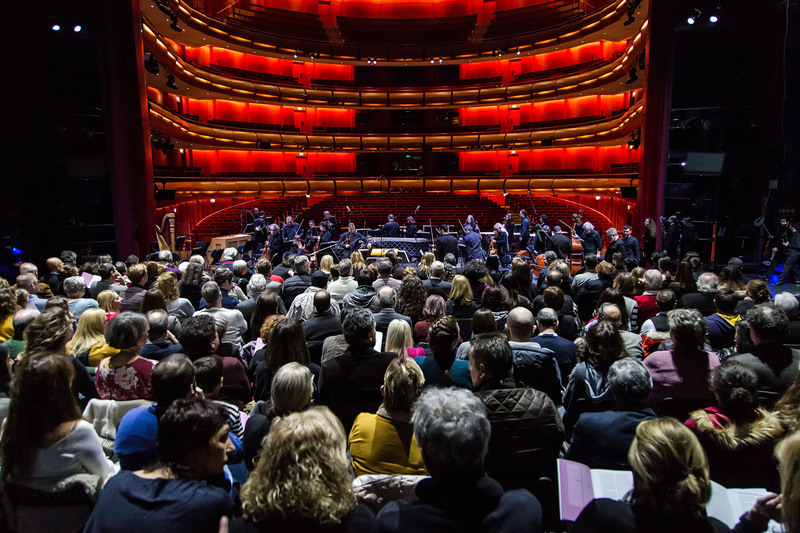 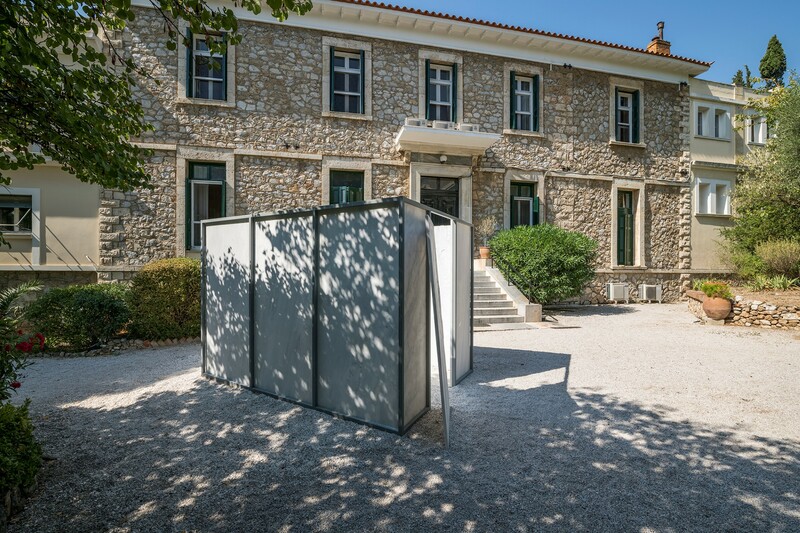 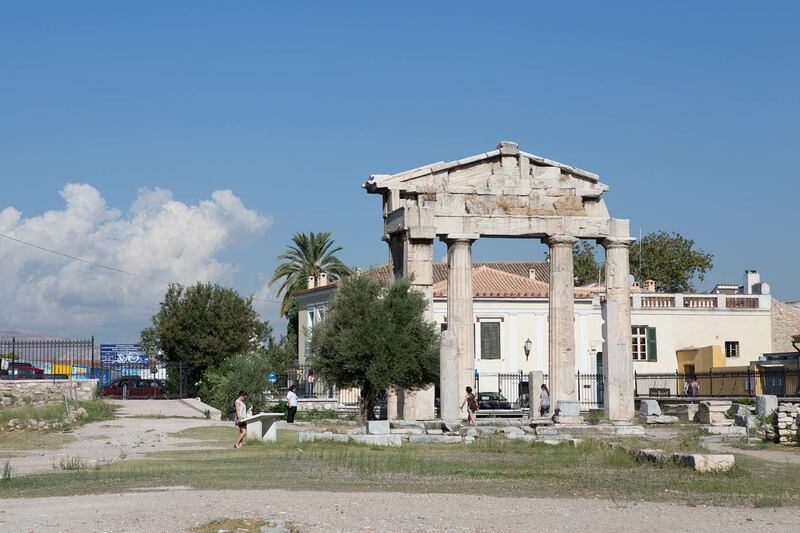 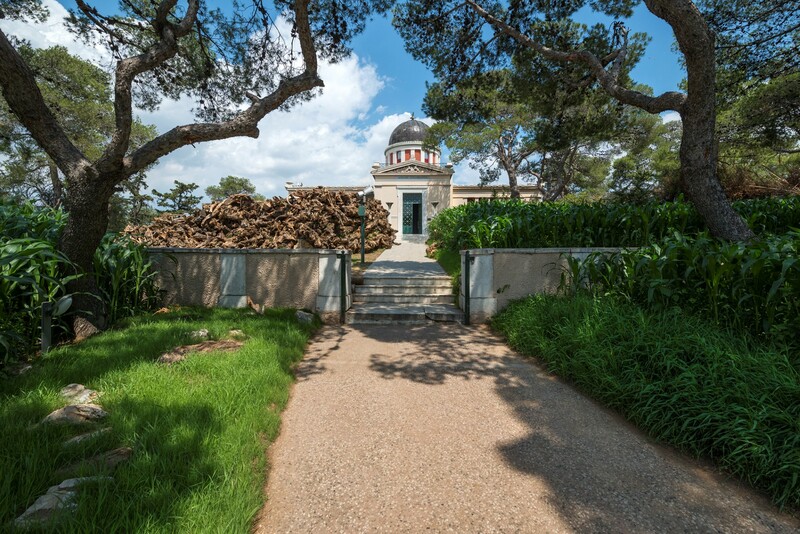 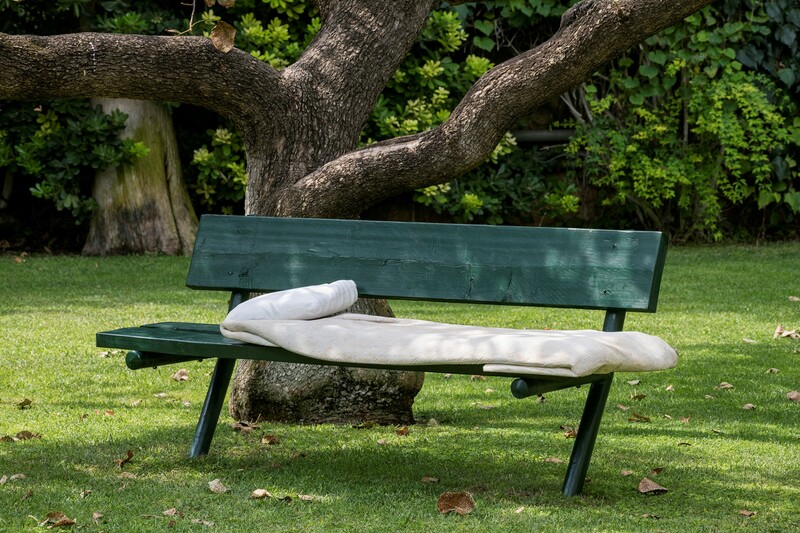 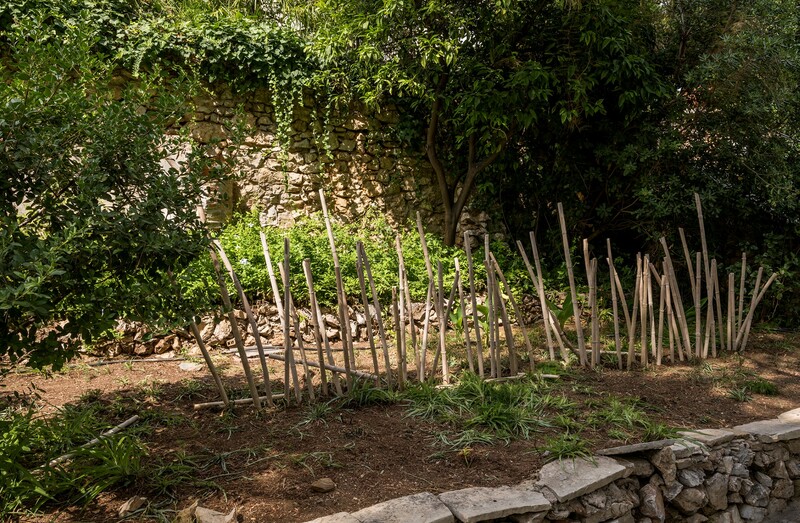 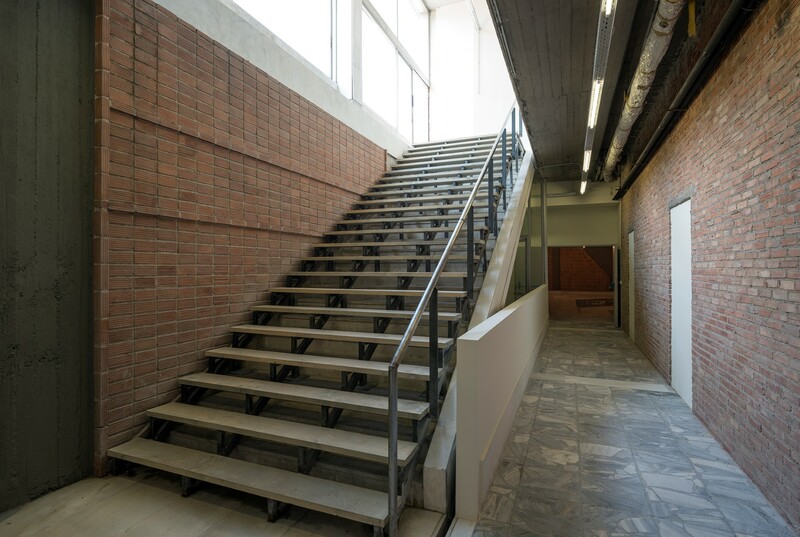 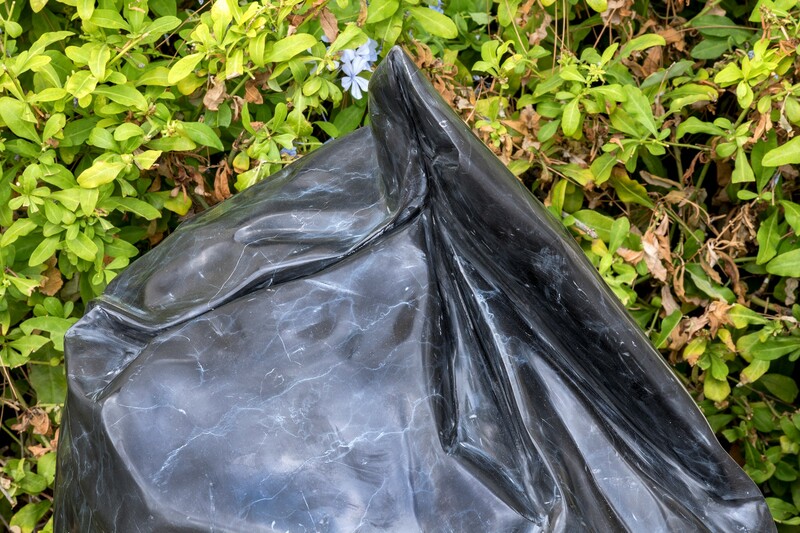 NEON will present an exhibition of works by Tino Sehgal in and around the Roman Agora in Athens from 25 September to 28 October 2014. 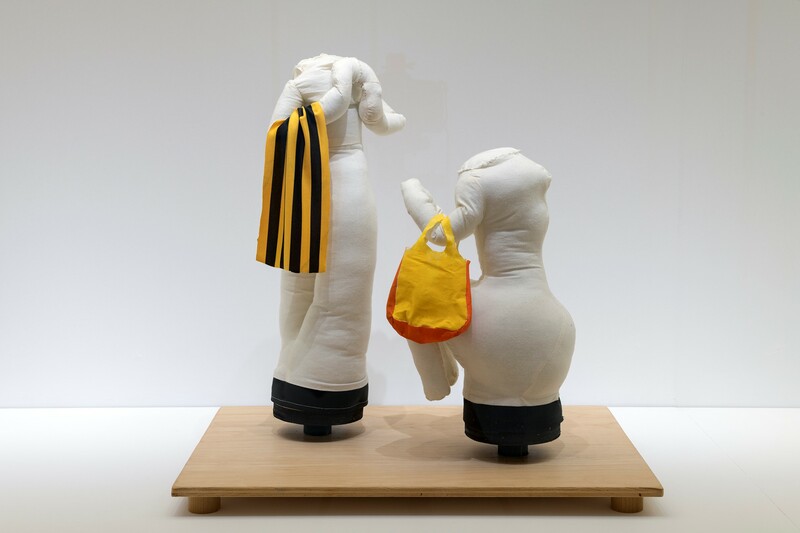 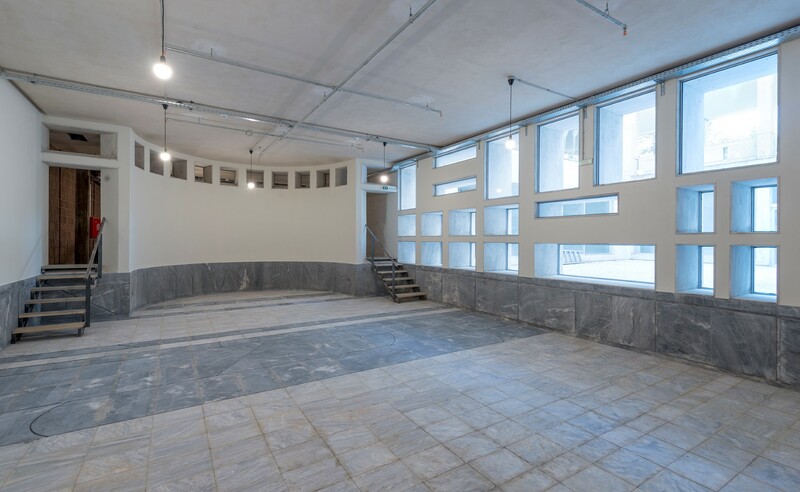 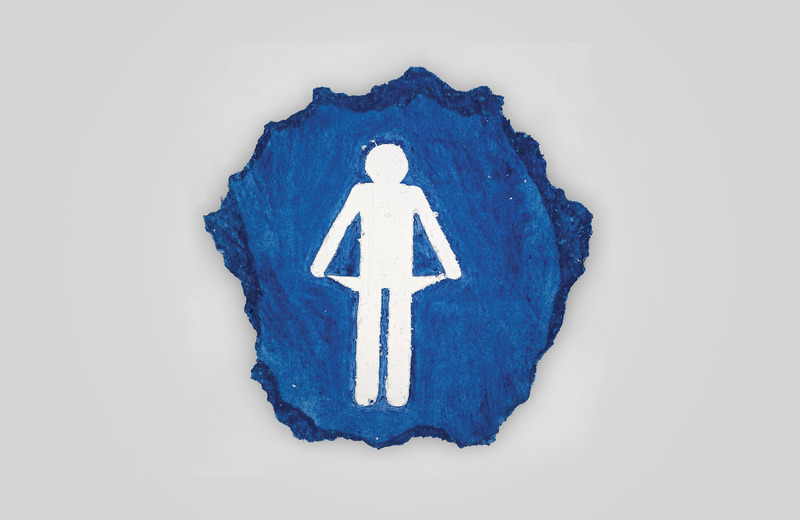 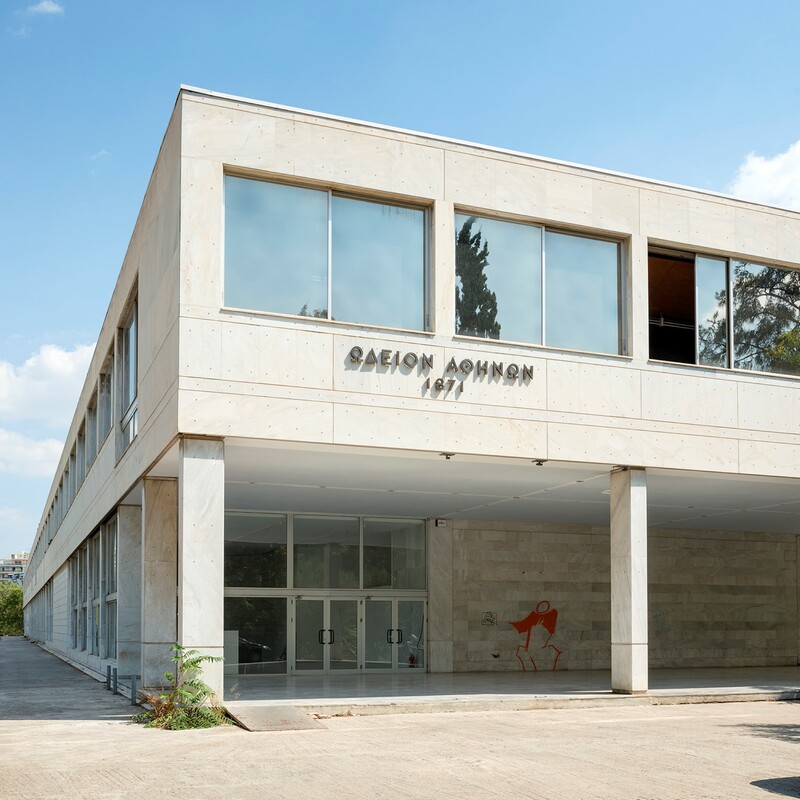 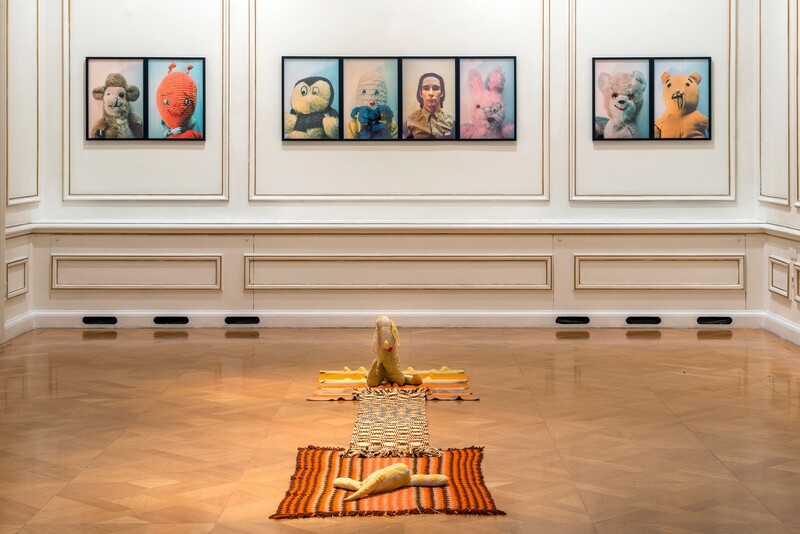 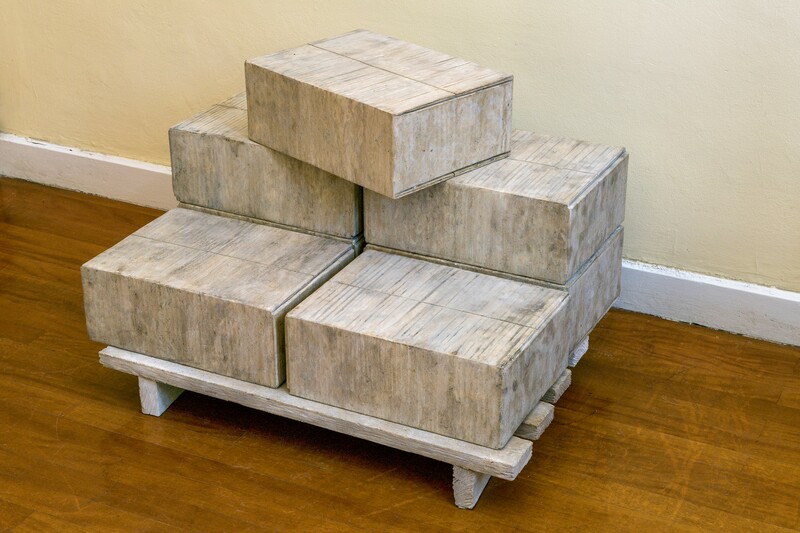 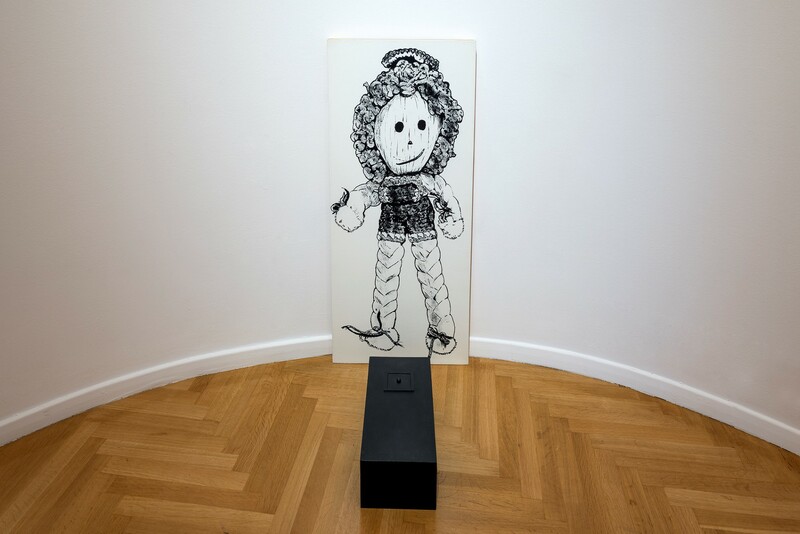 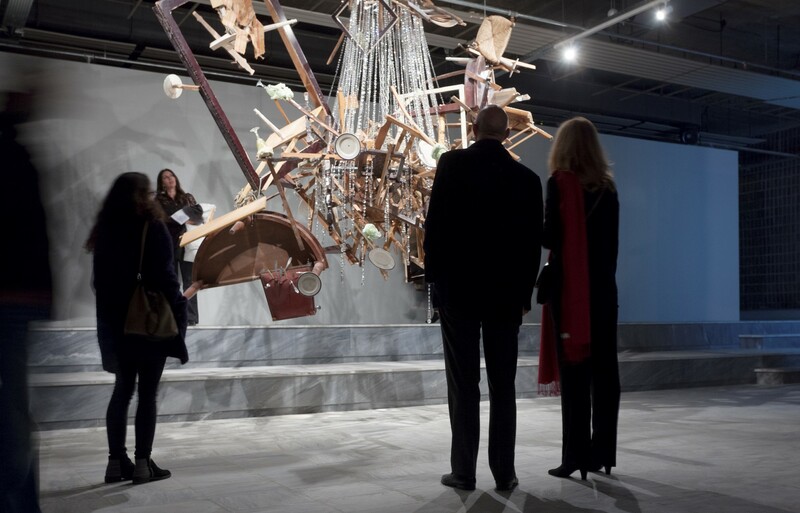 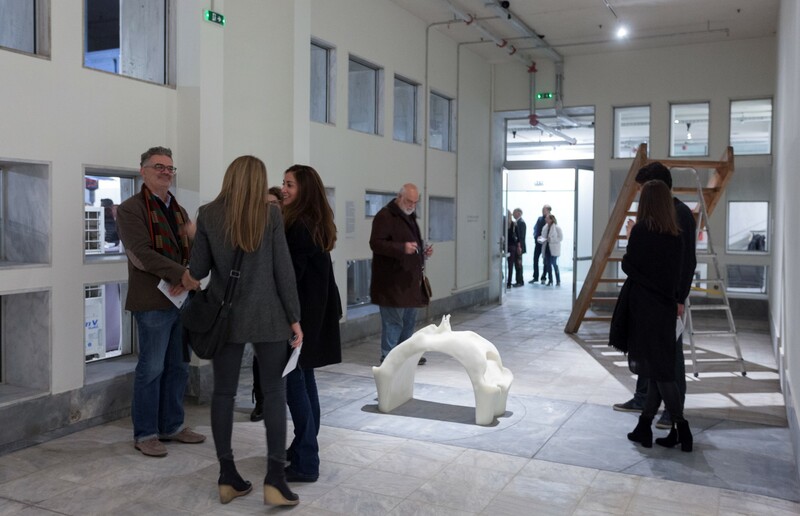 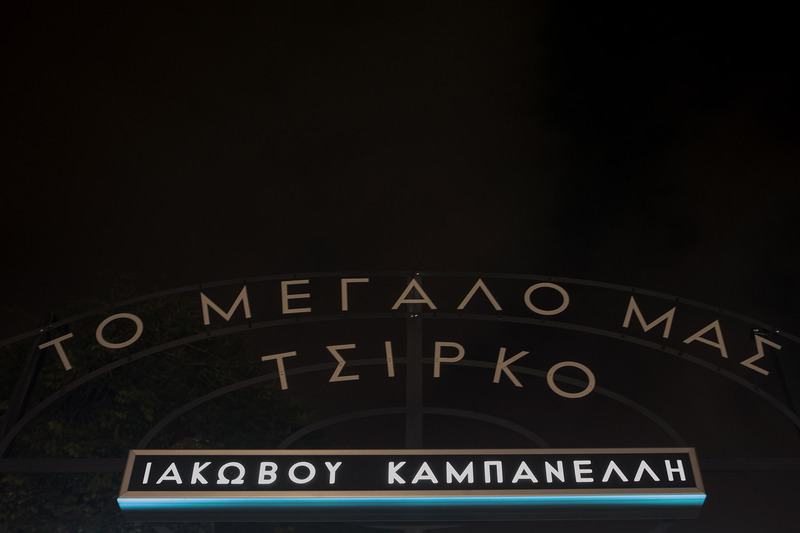 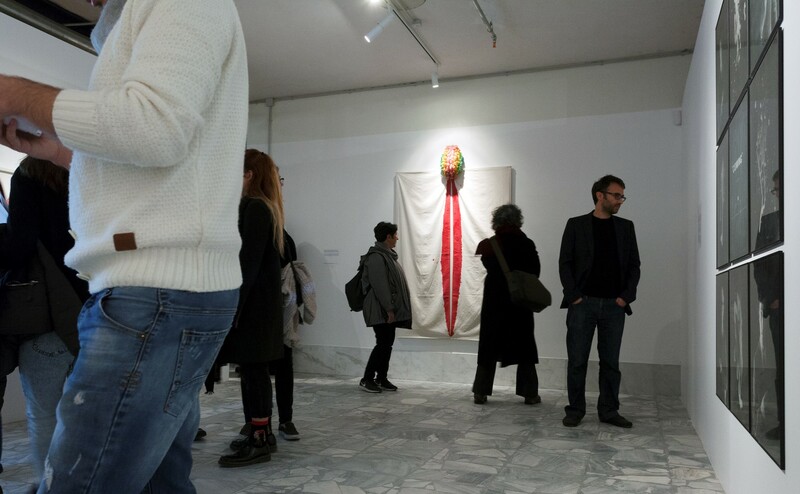 NEON presents in Athens at the Museum of Cycladic Art, the work of the prolific German artist Martin Kippenberger, with works from the D.Daskalopoulos Collection and the Estate Martin Kippenberger, Galerie Gisela Capitain, Cologne.